There is a lot of hiring and recruiting software out there. 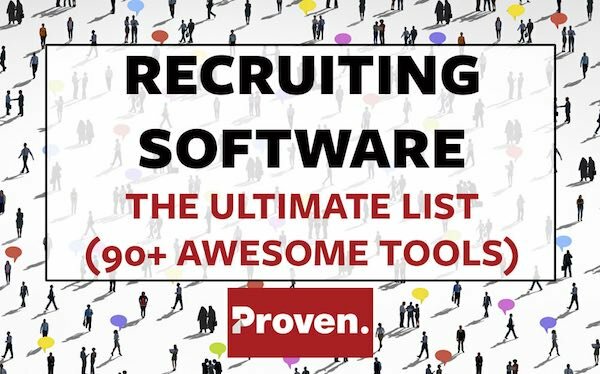 And, if you’ve ever tried to find recruiting software to make your hiring process easier, you’ve probably noticed there are thousands of different tools to pick from. Furthermore, there are many different types and classes of recruiting software. 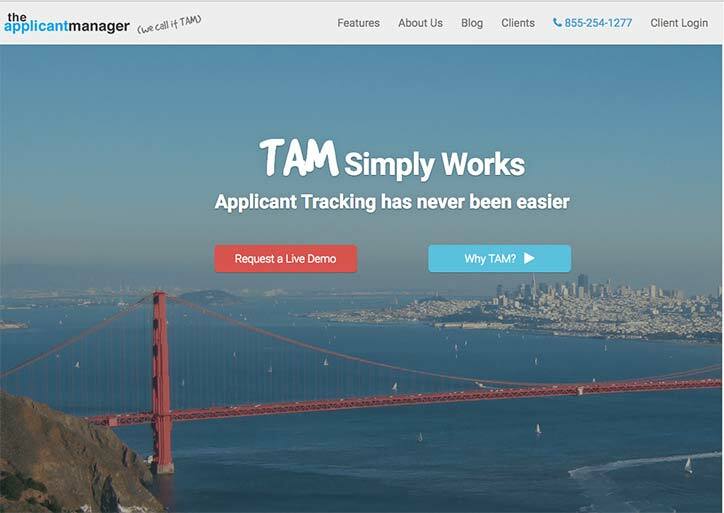 Do you need an applicant tracking system? A job board? A careers page builder? Or one of the many others? It can be confusing, which is a shame because the right recruiting software can save you tons of time, money and can help you find great employees. Fortunately, today you’re in luck! We did the research and broke down over 90 of the most popular recruiting tools for small business employers so that you can find the recruiting tool you need to hire effectively. Without further ado, use the filters below to jump through the tools and find the one you need to hire that next great employee. This guide covers tools ranging from applicant tracking systems, job boards to great online resources to help with your hiring! An applicant tracking system is a program that allows managers to organize their hiring process by digitizing some or all of the following functions; candidate evaluation, messaging, interview scheduling, background checks, onboarding and more. 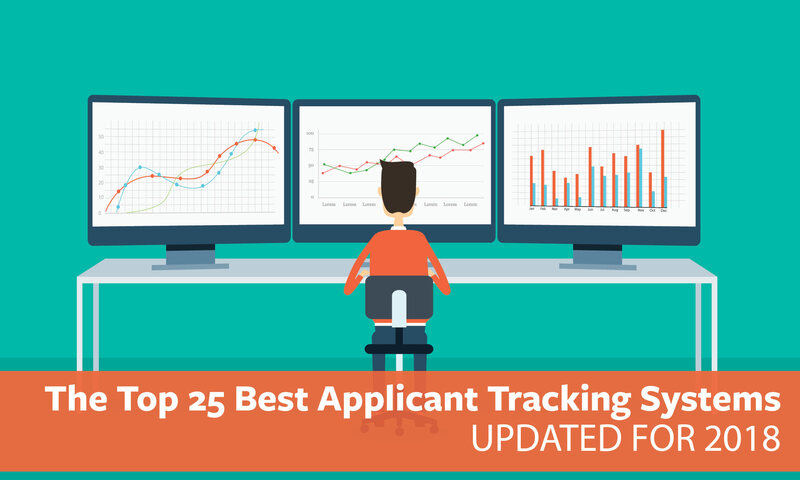 Using an applicant tracking often saves managers time and allows them to better identify top candidates. 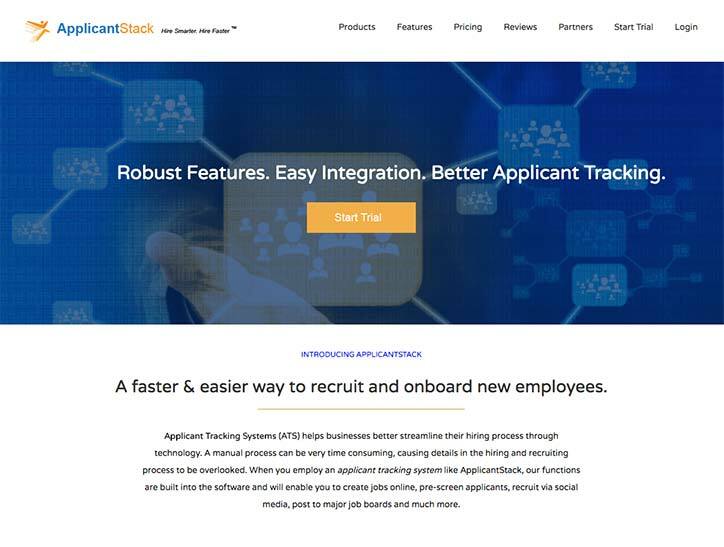 ApplicantStack allows customers to post jobs, evaluate and onboard applicants. Their resume parsing software also allows employers to automatically extract important information from applicants resumes. What makes this tool unique? You can create custom reports to analyze hiring data using a simple point and click interface. Beamery is a complete hiring solution allowing managers to source candidates, track them and create a branded careers page. 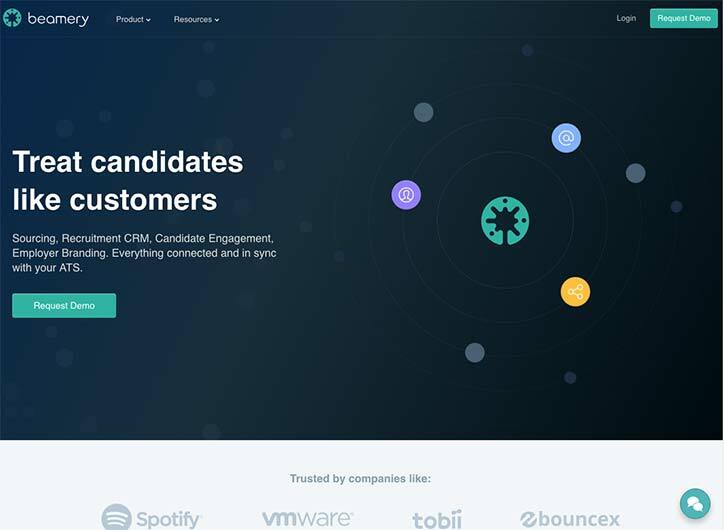 Beamery syncs with over 120 sites to collect information about identified passive candidates and allows you to automate outreach to turn them into active canddiates. 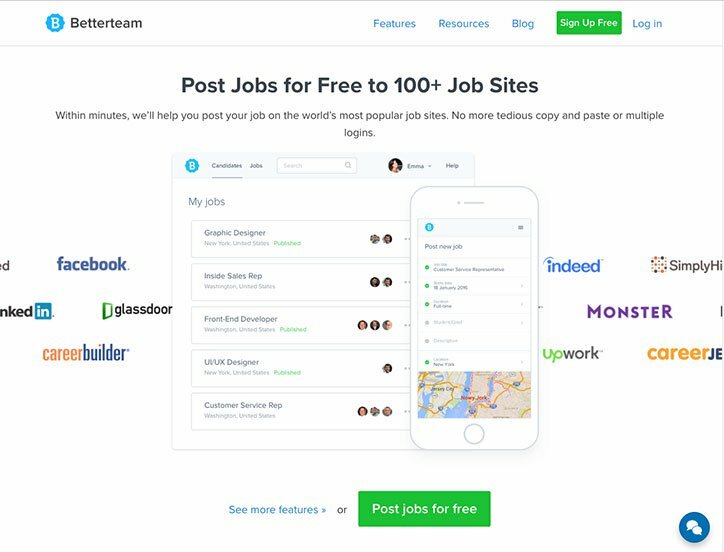 BetterTeam is a simple hiring tools that allows managers to post to over 100 job boards and better organize the hiring process with a number of organization and communication features. 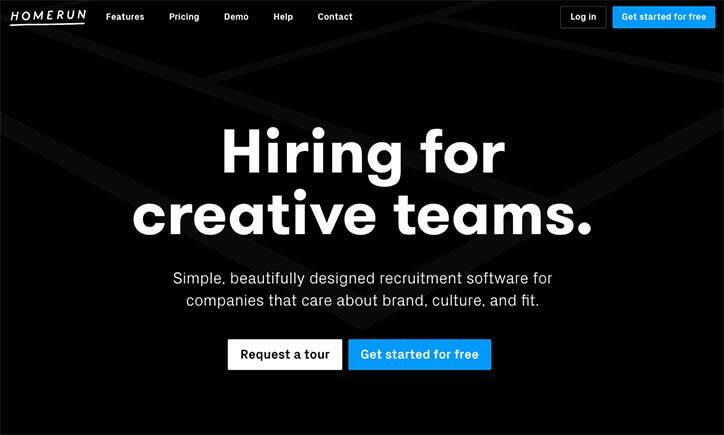 Betterteam offers a function that writes your job ad for you. Simply pick which characteristics you would like in their simple drag and drop interface. The software will then automatically generates a job ad, allowing you to save time and create a better posting. 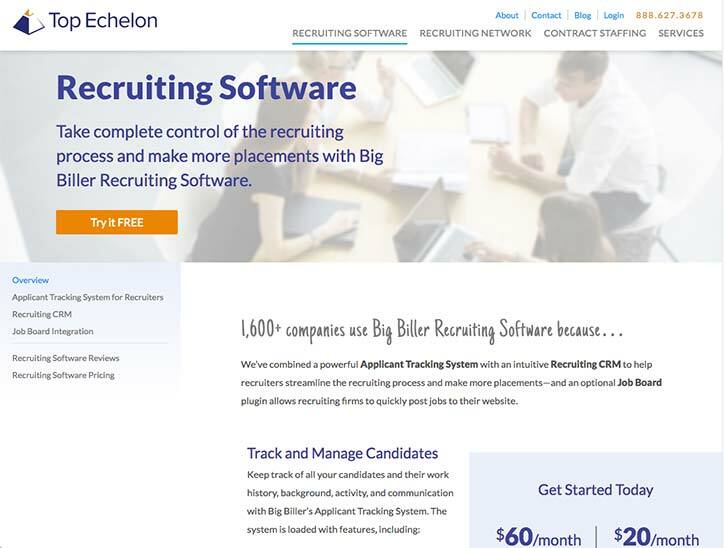 Big Biller is an Applicant Tracking System and recruitment CRM system. Using Big Biller, managers can email resumes directly into the resume database. BirdDogHR offers a number of hiring solutions including recruitment, onboarding and performance tracking. You can also background check candidates and if you’re having a tough time hiring, outsource the hiring process to the BirdDogHR Managed Services Team. The Bird Dog Managed Services Team will help you outsource your hiring process and find candidates for you. Breezy HR is a complete hiring solution for small businesses and covers everything from posting jobs to interviewing candidates. The comany offers a unique interface for managing and evaluating applicants. 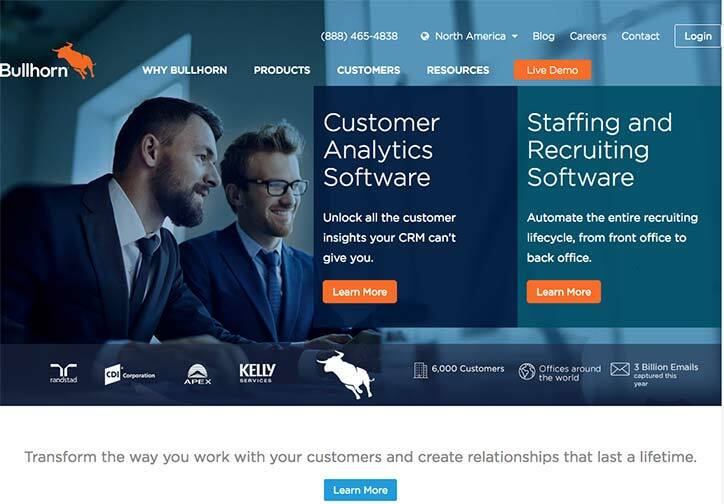 Bullhorn is an applicant tracking system that allows you to track and onboard candidates in the hiring funnel. The software also allows managers to source candidates by posting to job boards and through a social recruiting feature. Likely a good system for slightly larger small businesses. 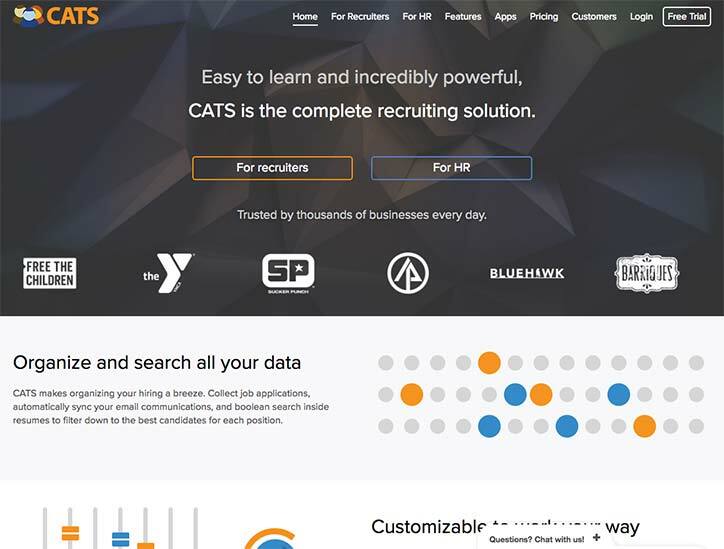 CATS is an applicant tracking system that allows managers to do all their hiring on one platform. Using the system, you can post jobs, set up a career portal, create a resume pool, and create reports to monitor your performance. CATS is extremely customizable and allows managers to customize emails, statuses, and applications. 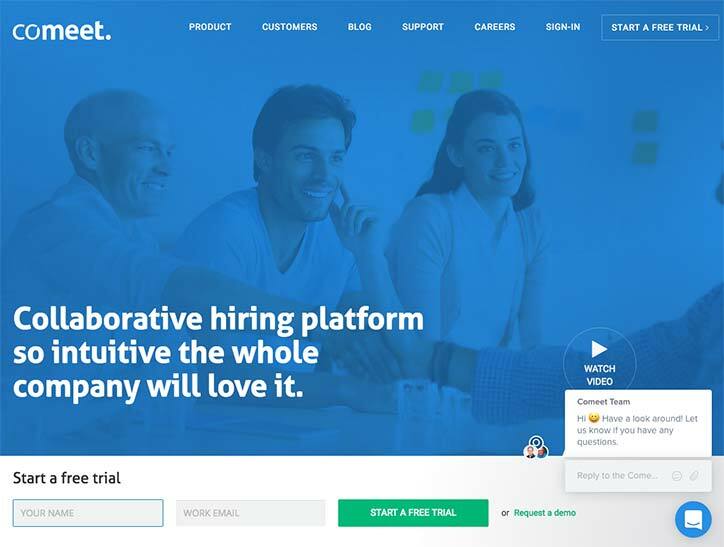 Comeet allows recruiters to source candidates using a custom built careers page and job boards. The company then offers a suite of tools to track and improve performance. Comeet offers a huge knowledge base with good interview questions for your candidates. 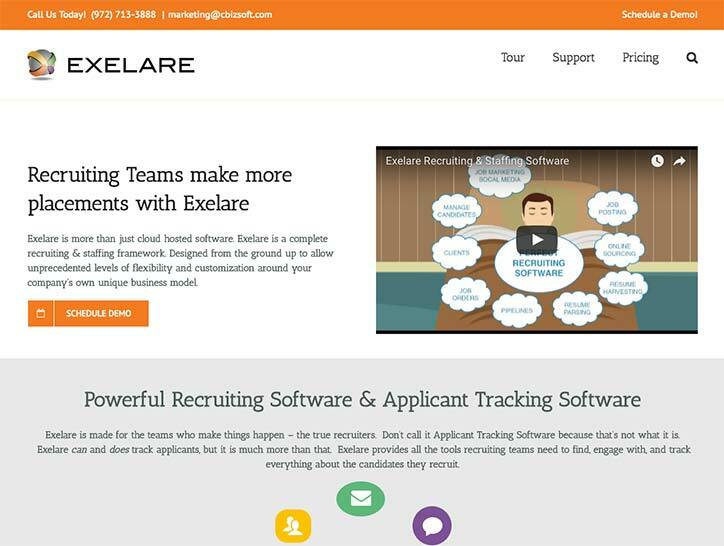 Exelare is an applicant tracking system that allows recruiters and managers to organize all their information in one centralized location. Using the platform, managers can source resumes from large resume pools and have access to a suite of job marketing tools. The company has a variety of mobile apps that allow recruitment managers to hire on a variety of devices. 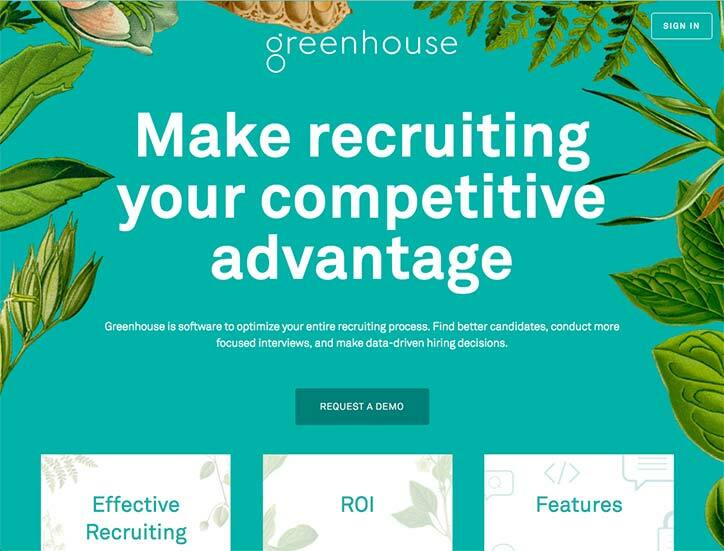 Greenhouse is a complete applicant tracking system for small to medium size businesses. 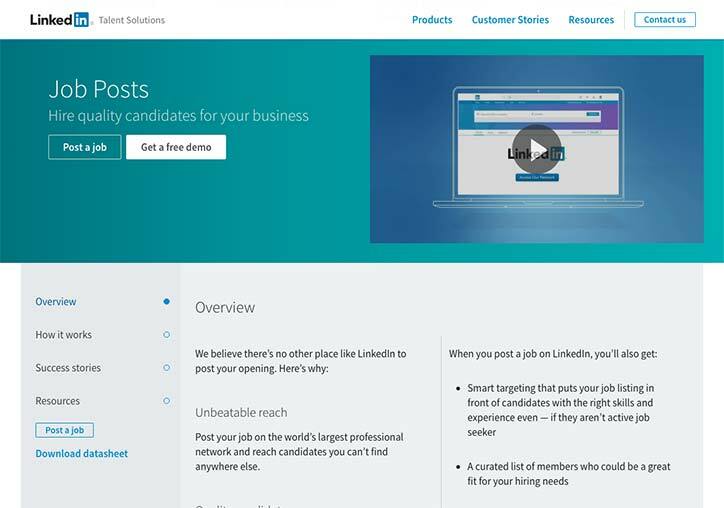 Using Greenhouse, you can post job ads on your employees Linkedin pages to help increase visibility for job posts. 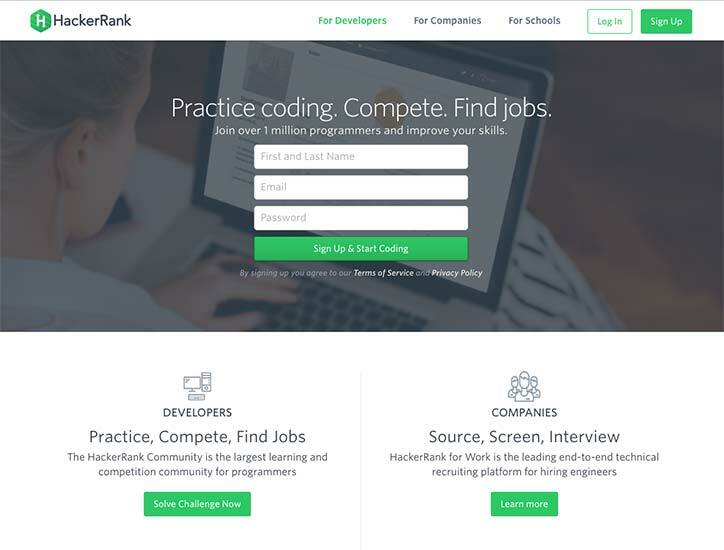 Using HackerRank, companies can host hackathons to identify top candidates. They can also screen candidates by using CodeChallenges to test candidates in over 30 different programming languages and conduct video interviews while watching a candidate code. Hiring specifically for technical workers, library of code challenges to test candidates skills, sponsored hackathons to identify the best candidates and a unique video interview format. 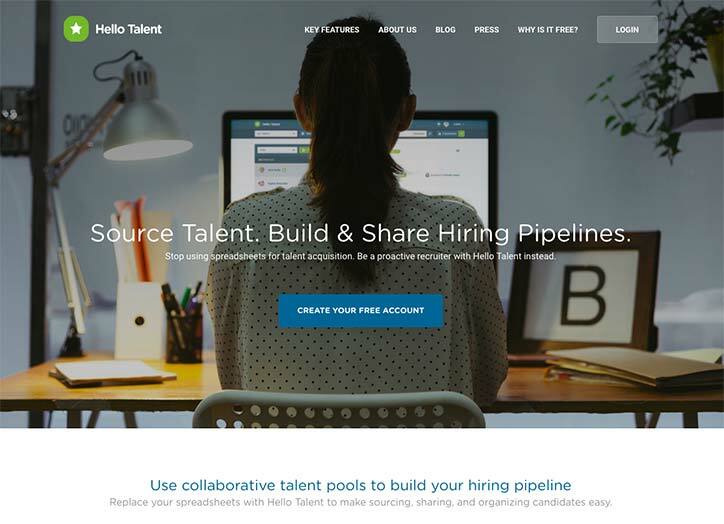 Hello Talent is a recruiting tool that enables recruiters to import candidates they find on different social networks directly into talent pools to collaborate on, organize, tag, and review candidates. Hello Talent integrates with Slack as well as with Applicant Tracking Systems. 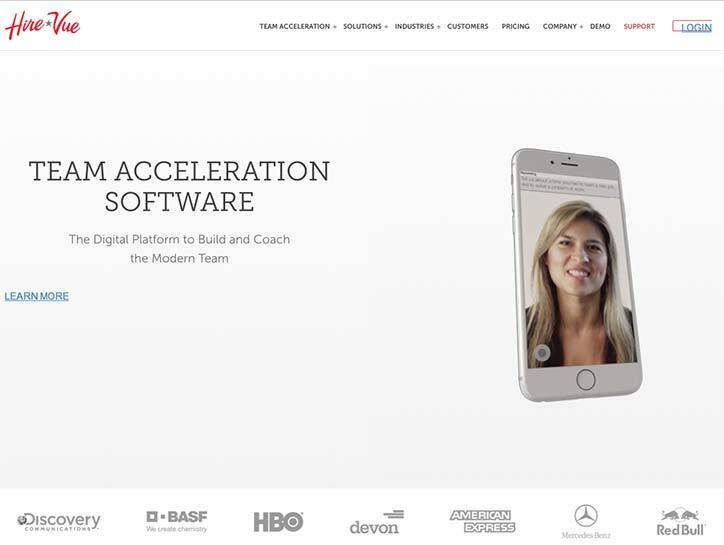 Hire Vue offers digital recruiting software that allows you to interview candidates with video chats. 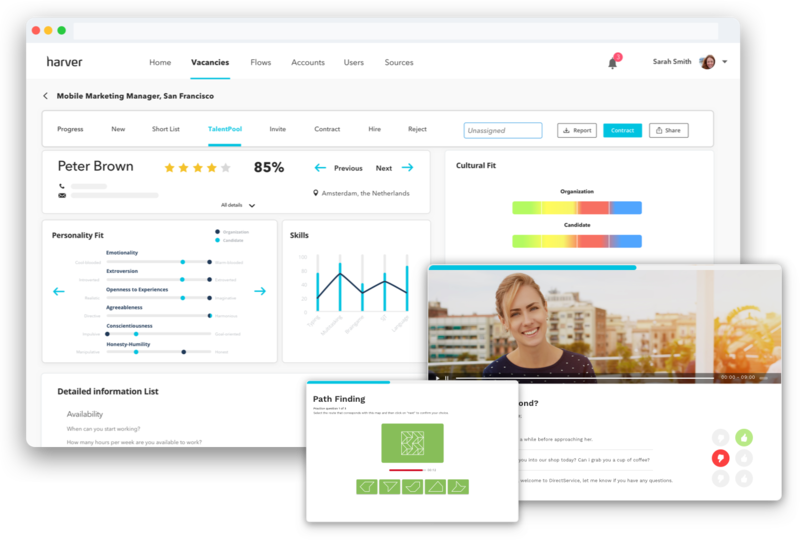 Hire Vue Insights allows managers to use machine learning and predictive analytics to compare an applicants response to an interview question to their likelihood of turnover etc. in the future. 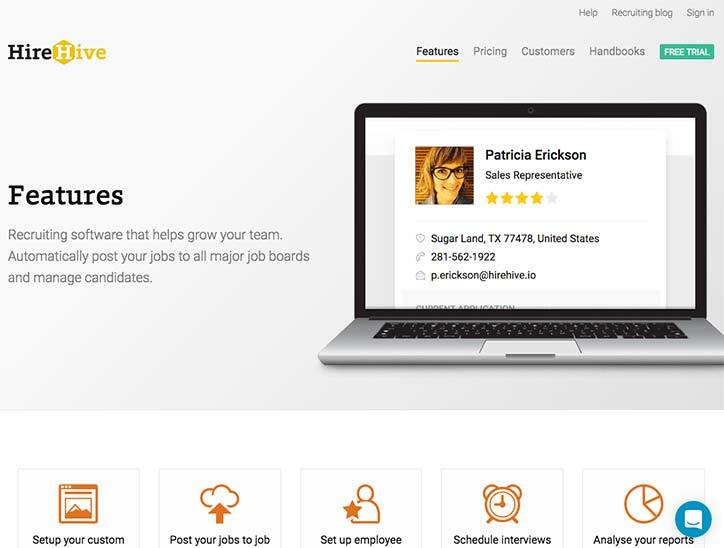 HireHive is an applicant tracking system that allows you to post jobs, track applicants and set up interviews on one platform. HireHive offers an mployee referral feature that allows current employees to market jobs for you in their networks. Hiremojo allows you to post a job to free and premium job boards, prescreens them and lets you track them as they go through the hiring funnel. Hiremojo has developed a proprietary candidate prescreening process. 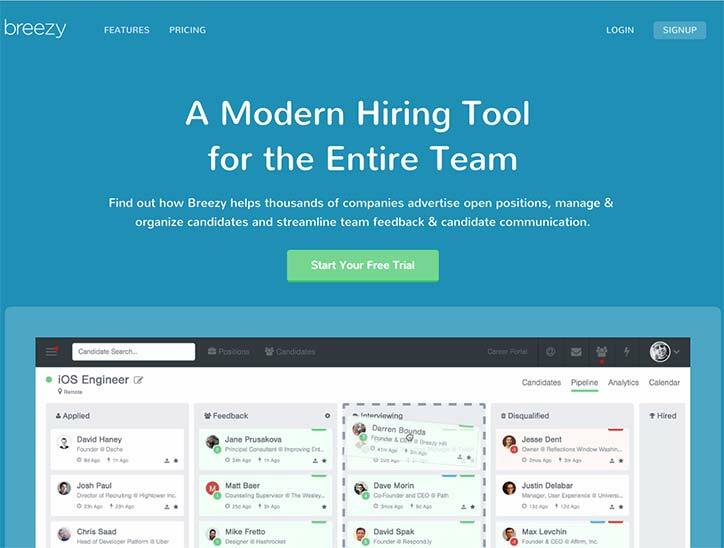 Hireology is a hiring tool that allows employers to write job posts, post them to major job boards, interview and onboard candidates. 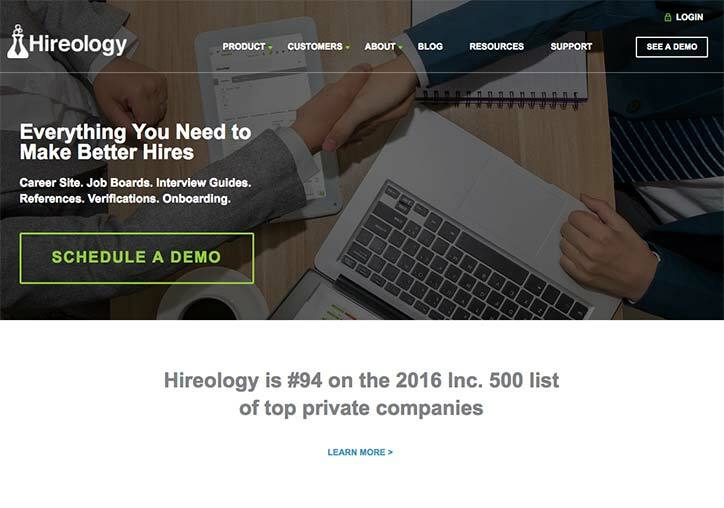 Hireology offers custom built careers page for attracting applicants that are more fully featured than their competitors. Homerun is a complete applicant tracking system for small to medium size businesses that care about brand, culture, and fit. With Homerun you create well designed job posts, customise application forms, source candidates, create events and todo’s and extensively review applicants together with your team, fast and effective. Set up a truly unique, branded career site, personalise job posts and customise your application forms. Thanks to Homerun’s easy to use live editor and more than 20 unique job blocks, you’re in control of every image, word, font, color & form. 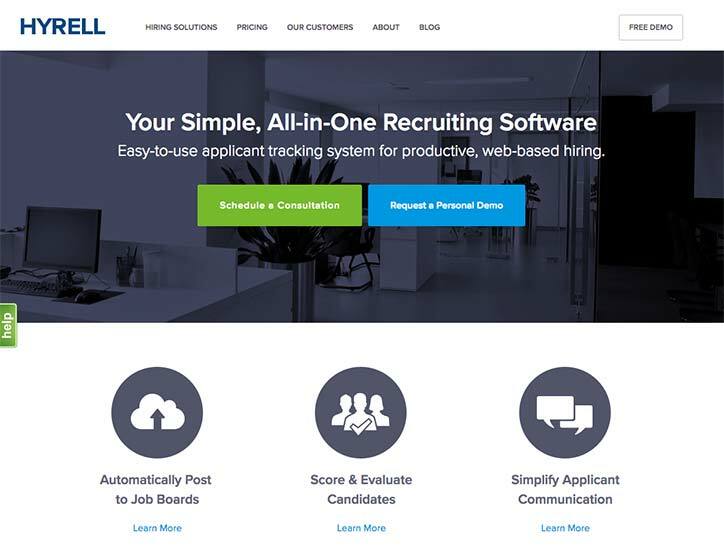 Hyrell is a complete applicant tracking system solution to organize your hiring process. Hyrell’s ATS is optimized for franchise based businesses. 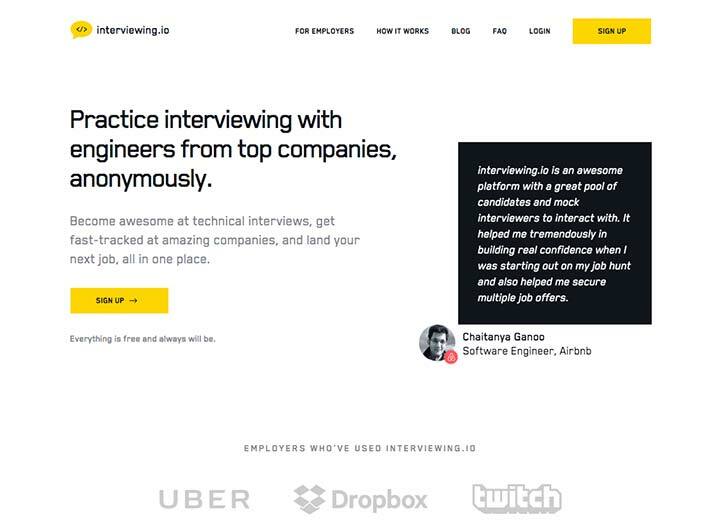 Interviewing.io allows companies to hire technical talent that have performed well in practice interviews on the platform. Their candidates are vetted by engineers at top firms and as a result, more than half of their candidates make it to onsite interviews with employers. The company pre-evaluates applicants for you during practice interviews with engineers at other top firms. iSmartRecruit is a more fully featured ATS for businesses. 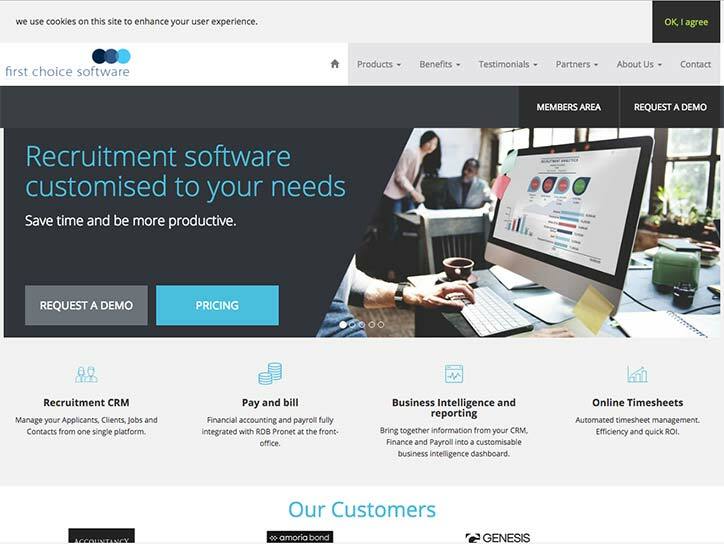 Their software allows managers to organize all aspects of the hiring process, set tasks, create reports and track candidates through the hiring funnel. Great ATS systems for larger small businesses that have more substantial hiring needs. 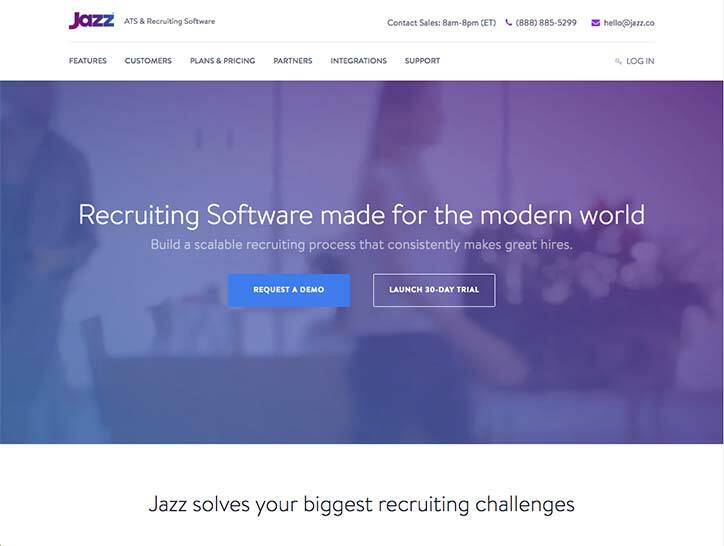 Jazz offers a complete hiring solution from posting your job to analytics on your hiring process. Jazz Crowd uses big data to find actionable insights about your hiring process. These insights can be used to improve your process and hire better applicants for a lower cost in the future. 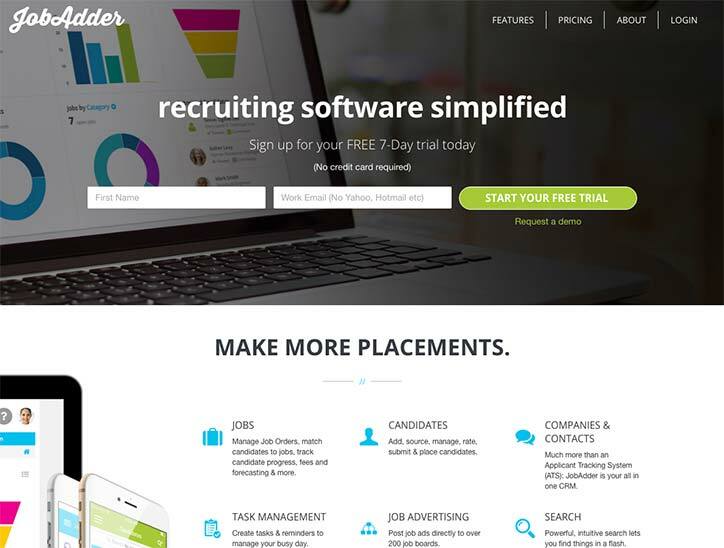 Job Adder offers a heavily featured hiring and onboarding platform. Job Adder’s platform includes a time sheet scheduling feature for current employees. Jobscience is a complete platform for sales, recruiting and backoffice software. Jobscience is a combined CRM and ATS system that integrates directly with Salesforce. 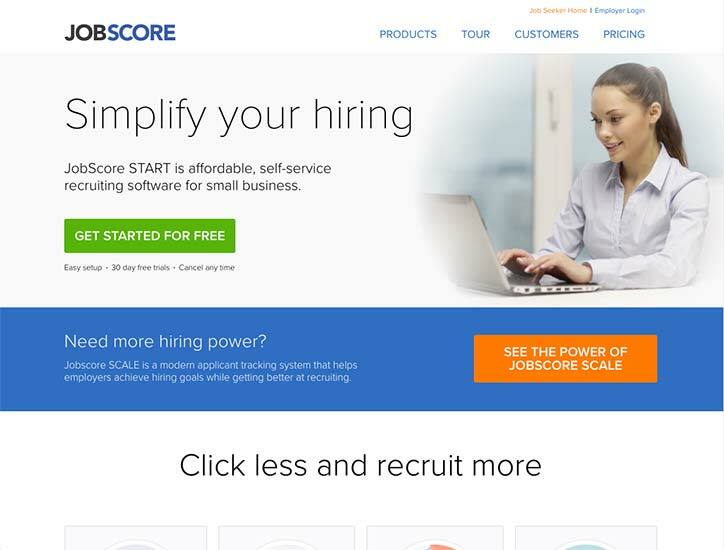 Jobscore is a hiring tool that allows you to attract applicants by posting on job boards and through a custom careers page. The software then allows you to organize the applications and send messages etc. Jobscore is divided into two products; Start for smaller businesses and Scale for larger growing businesses. 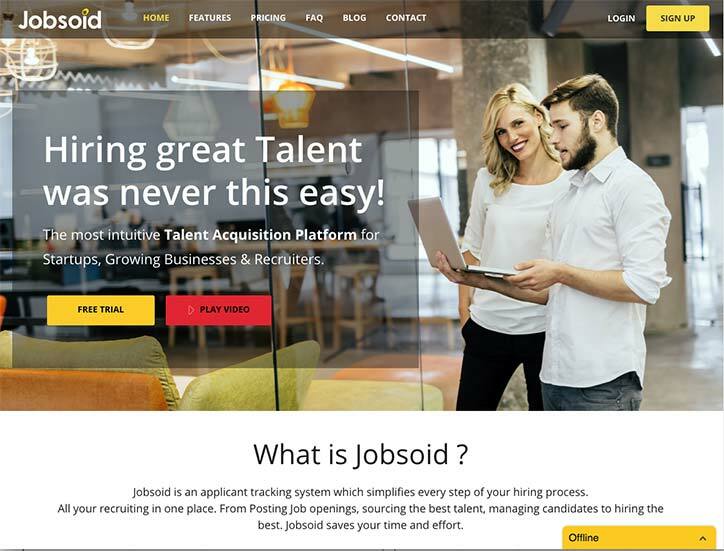 Jobsoid allows businesses to post jobs then organizes the applications from different sources including job boards, email and careers pages. Recruiters can also upload resumes so they have access to them all in one place. Jobsoid allows managers to create a customizable application form where candidates can apply. 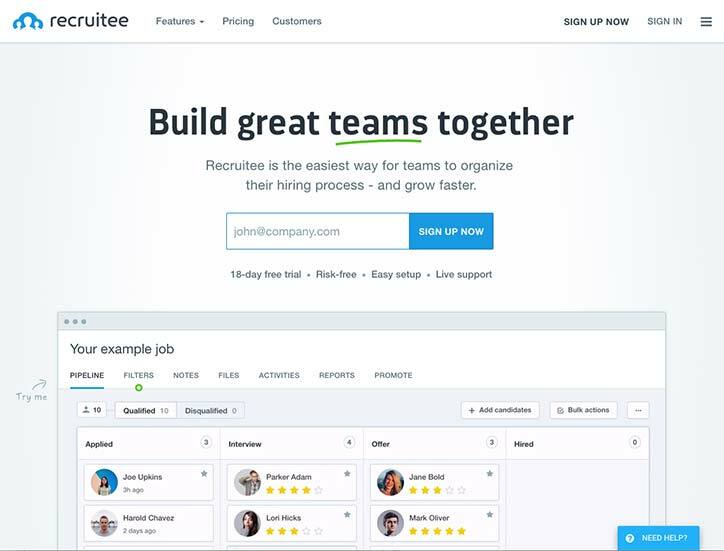 Jobvite is a large job board and suite of hiring tools including a resume finder, referral tool, onboarding system and an interview scheduler. Jovite refer is a tool that allows employees to easily share any openings with their social network. This helps managers attract similar applicants to their current employees. 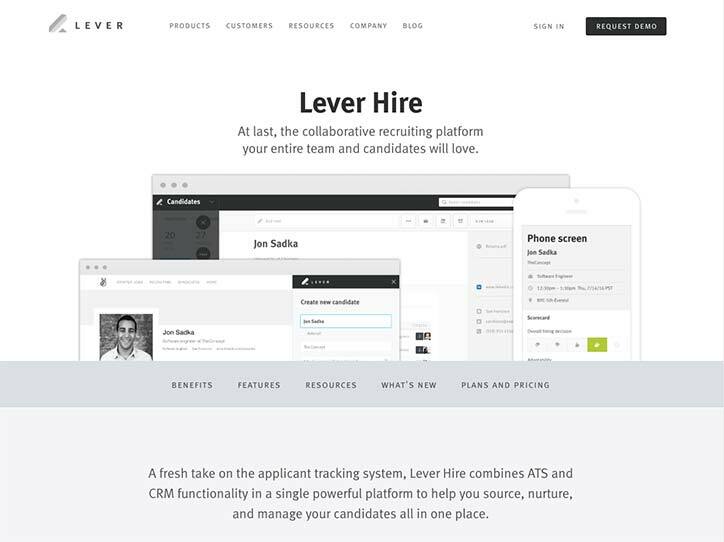 Lever is a hiring platform that offers two products, Lever Hire and Lever Nurture. 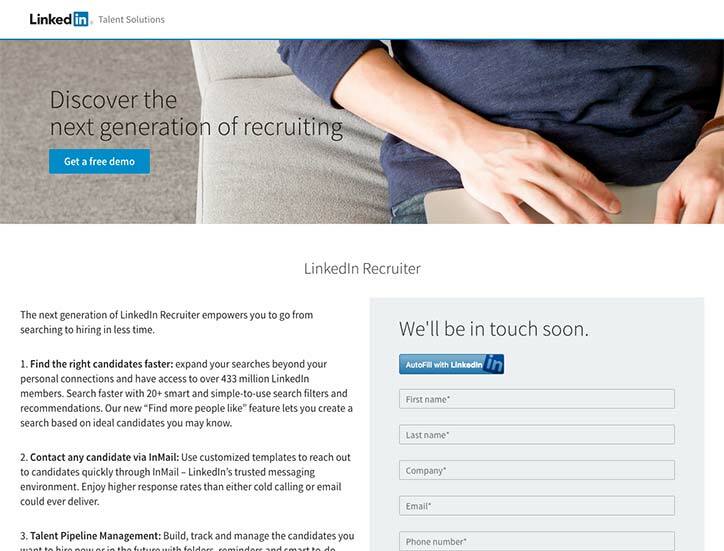 Lever Hire helps recruiters track all incoming applications in one place by creating candidate profiles. The company also offers a custom careers page and security pages to make sure your hiring stays confidential. 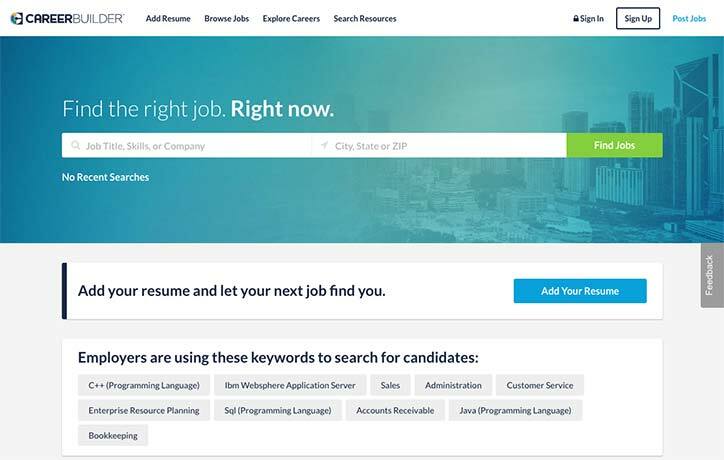 Lever Nurture allows recruiters to create proactive outreach campaigns and workflows to help hire top talent even if their not currently job hunting. You can develop a proactive outreach program to reach top talent that may not be looking for work just yet. Linkedin Recruiter allows you to search Linkedin’s vast network of professionals (numbering in the 100’s of millions) and reach out via inMail to convert them to applicants. The software also allows you to track applicants as they progress through the hiring funnel. Using Linkedin Recruiter you can reach out to Linkedin’s network of over 400 million people to find candidates. Culture profile builder that allows recruiters to build a customized page showcasing their businesses culture. 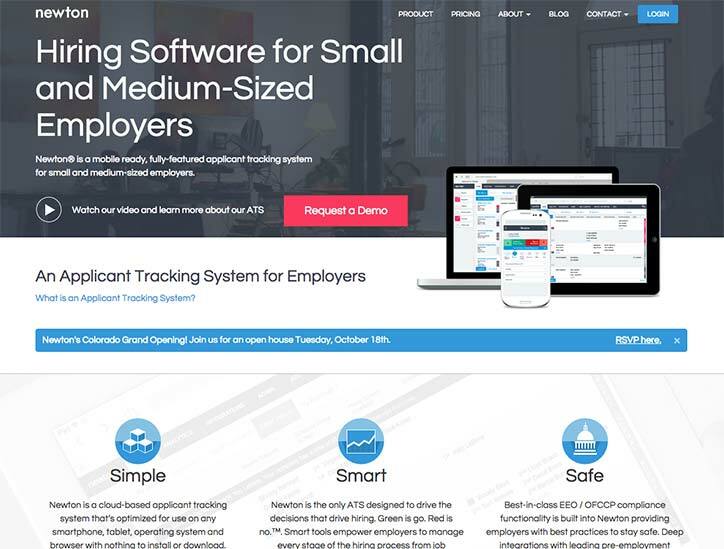 Newton is a fully featured applicant tracking system for small and medium sized employers that works well on mobile in addition to web. Newton offers a security focused product for emplyoers that need a secure hiring process. 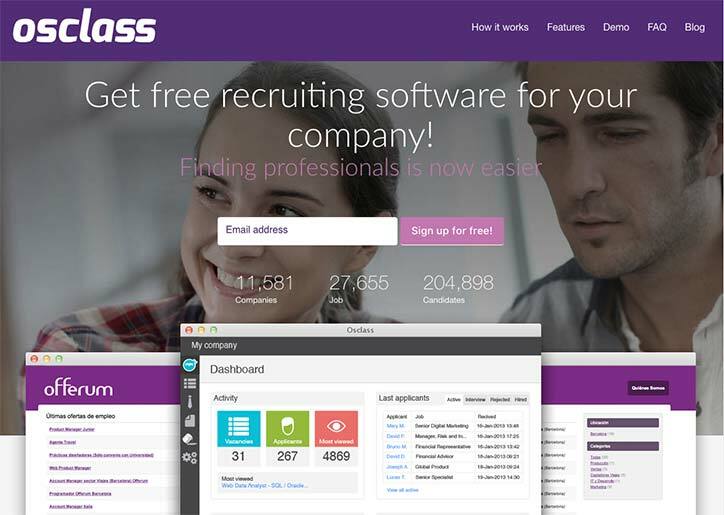 Osclass is a free way to post a job to job boards. The software is offered in multiple languages and is open source meaning that anyone can edit and improve it over time. 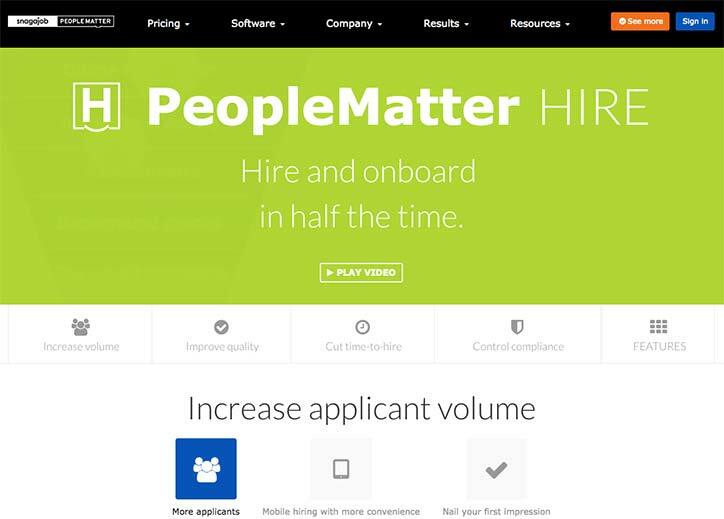 People Matter is a more fully featured applicant tracking system for larger small businesses. They offer software to find applicants, interview them, onboard and track performance. The company hosts Collaborate, one of the largest annual meetups of HR professionals. 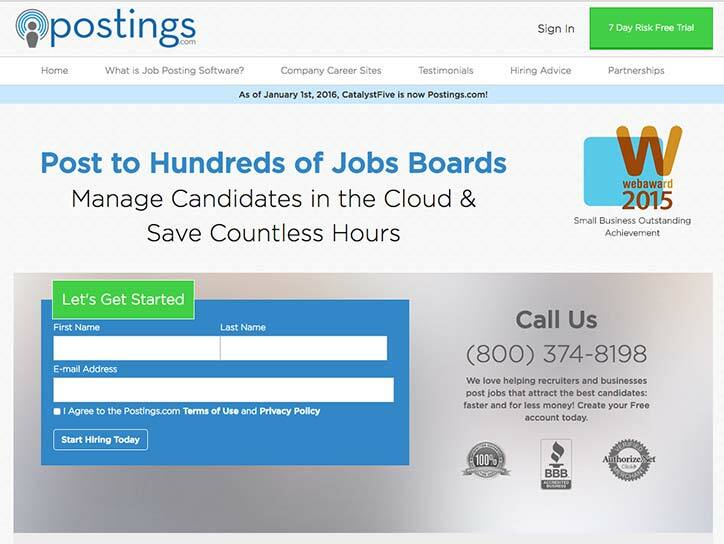 Postings.com is a hiring tool that allows recruitment managers to post their jobs and organize candidates. The software also allows employers to run background checks and can integrate a careers page on customer’s websites. Postings.com allows managers to create careers sites that are mobile friendly since more and more applicants are applying on the go. 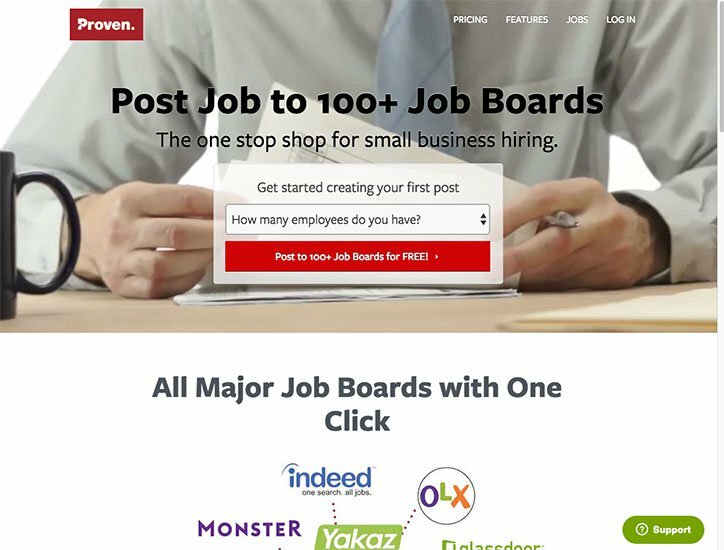 Proven offers a hiring tool that allows employers to post their jobs with one click to over 25 different job boards including the Proven job board, Monster, Indeed, Craigslist and more. In addition, Proven saves employers time by pulling all the applications into one easy to use system, allowing managers to collaborate, set interviews & automatically remind candidates, take notes, evaluate applicants and message candidates all in one easy to use system. 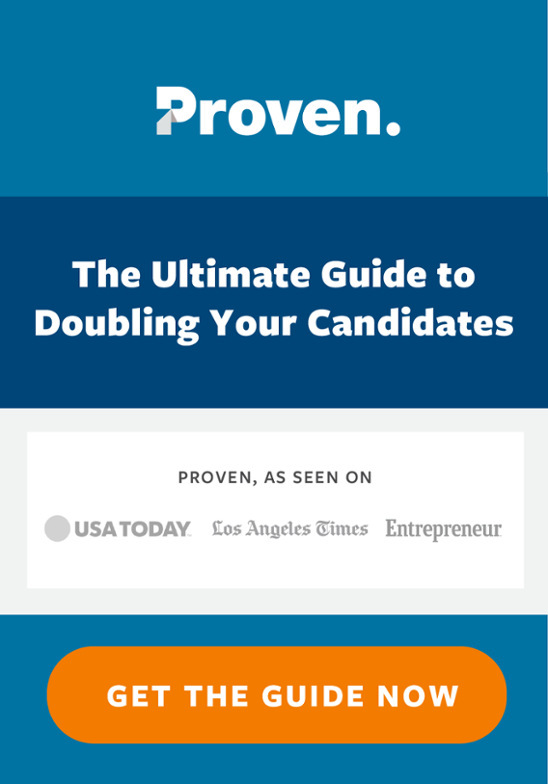 Proven has several unique features including Pay-Per-Post job distribution so that you only pay when you’re hiring, the ability to post to the Proven job board and an interview scheduler feature that reminds applicants of interview times and reduces no-shows. RDB Pronet offers a number of applicant tracking solutions and is a more fully featured system for larger small businesses. Integrates with RDB Pronet’s other software offerings including financial accounting and payroll software. Using Recrouter, you can post jobs to your social media network and various job boards. You can also manage the hiring process and see analytcs on your hiring efforts. Finally, you can set up an integrated careers page on your website to attract applicants that visit your site. Recrouter charges a-la-cart where you only pay for the features you use. 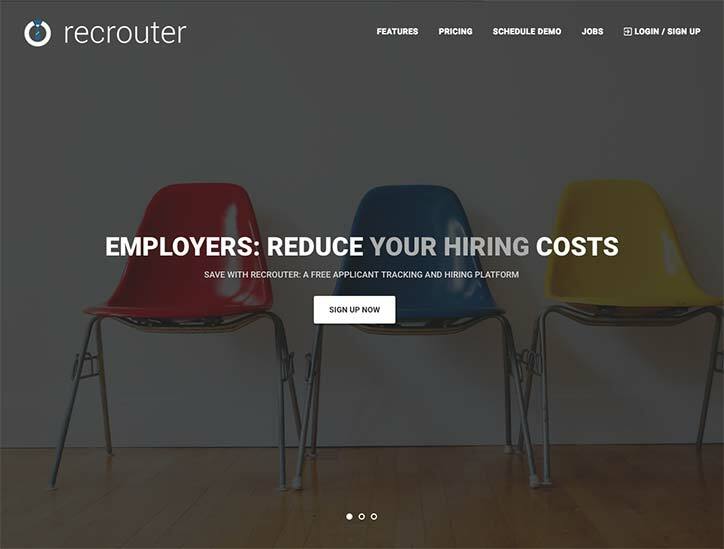 Recruitee is a hiring tool that allows employers to post their jobs to multiple job boards and organize the hiring process. 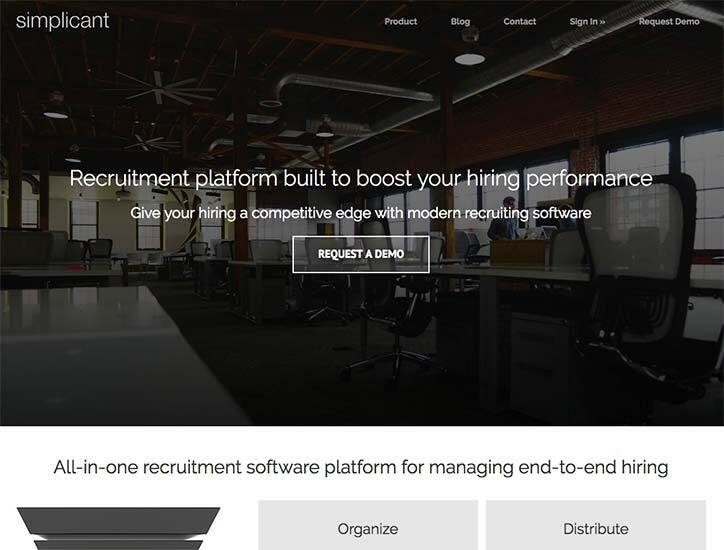 Recruitee offers more advanced branded careers pages. 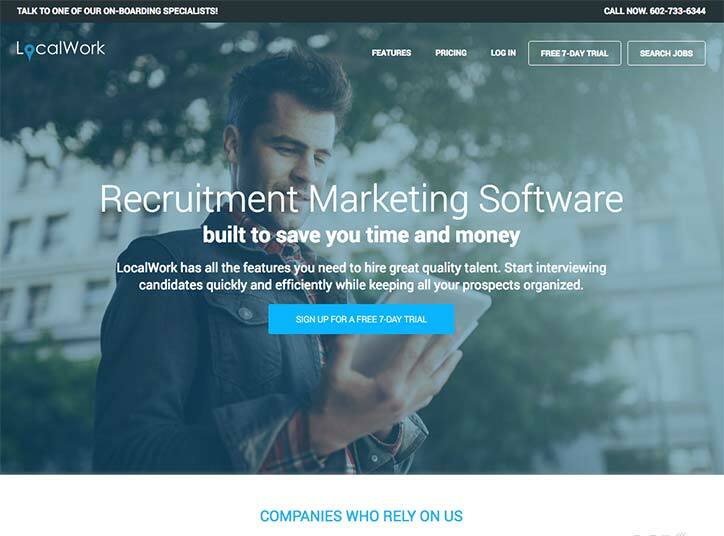 RecruiterBox is a lightweight applicant tracking system that allows HR managers to track applicants, delegate tasks, set up interview times, share positions on social media and much more. 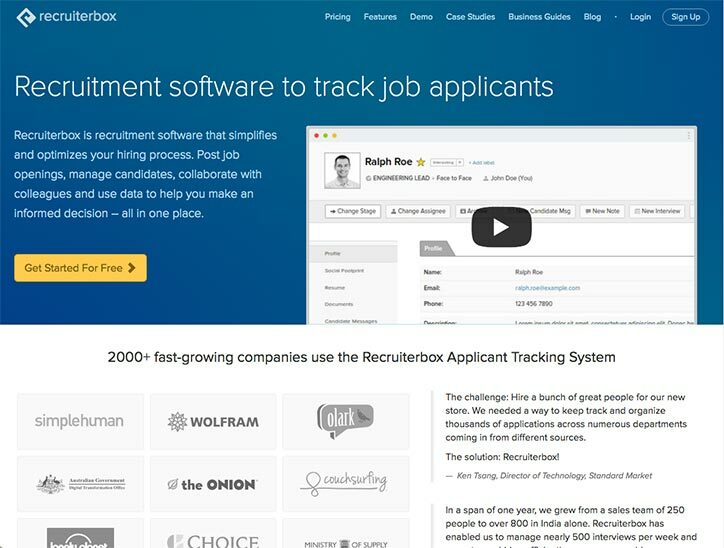 RecruiterBox has substantial reporting capabilities on hiring trends for a simple hiring tool. 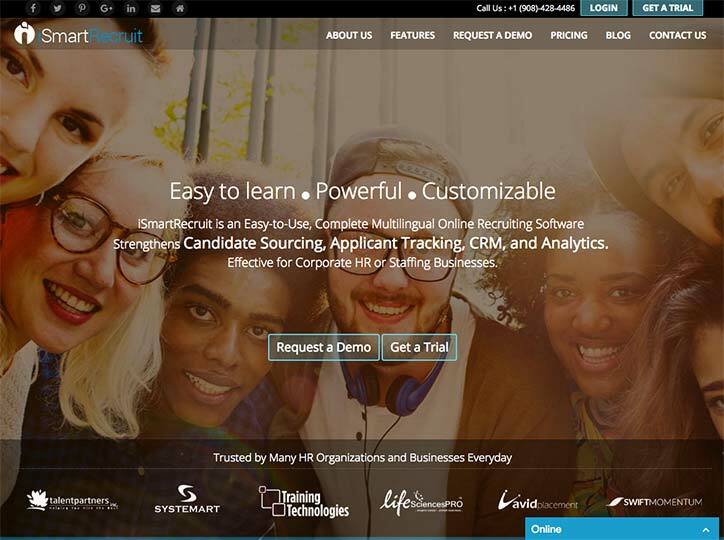 Simplicant is an applicant tracking system and includes a branded careers page, social recruiting, employee referrals and an analytics center. Using Simplicant you can build an audience of potential employees and send them updates about current openings. 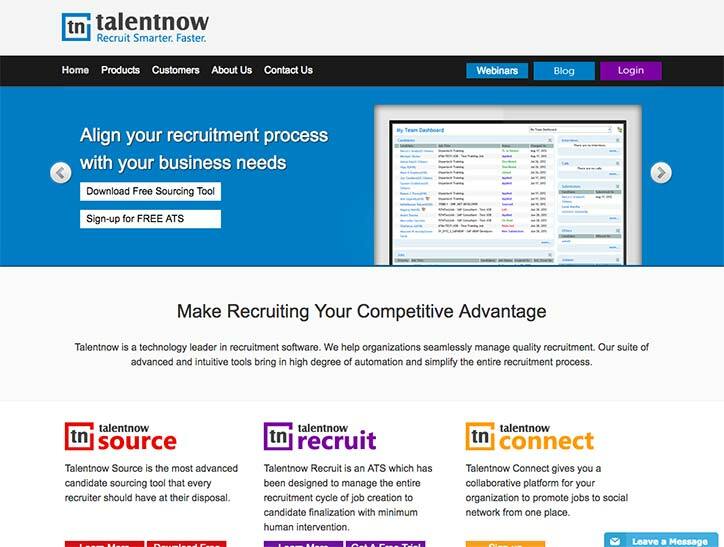 Talentnow Recruit offers three products; Source which allows recruiters to create a resume database, Recruit which is an applicant tracking system and connect which allows recruiters to take advantage of social recruiting. You can use Talentnow Recruit’s software to create a careers page that is embeded on your company’s Facebook page. The Applicant Manager is a hiring tool allowing managers to post jobs on different boards and to evaluate candidates. Using The Applicant Manager, you can verify candidates using several different methods. 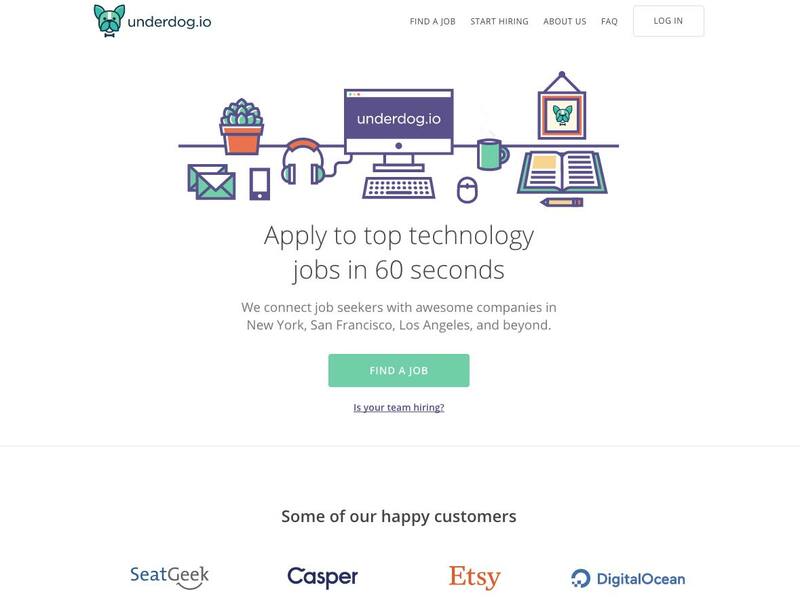 Underdog is a platform that delivers hand picked candidates for your jo openings each week and is used by some of the largest technology startups. Underdog deliver handpicked talent weekly and skews toward the technology industry. 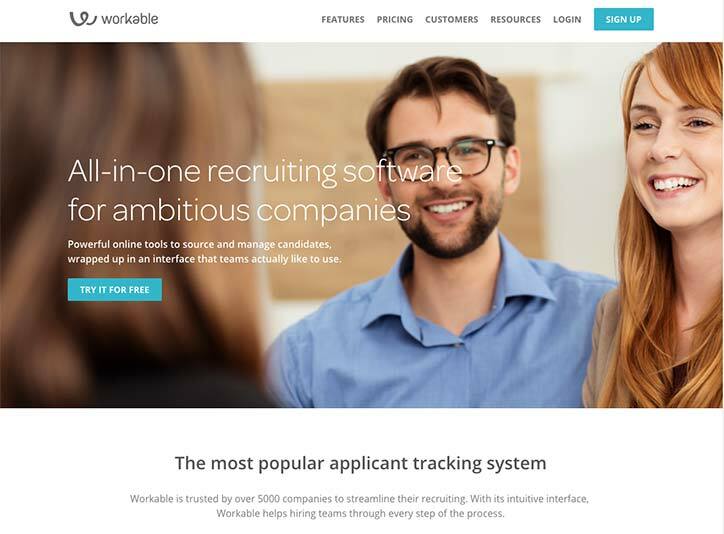 Workable is a simple hiring tool that allows manager to post jobs to over 100 job boards and better manage the interview and onboarding processes. Workable is an international customer and works with customers from many different countries. 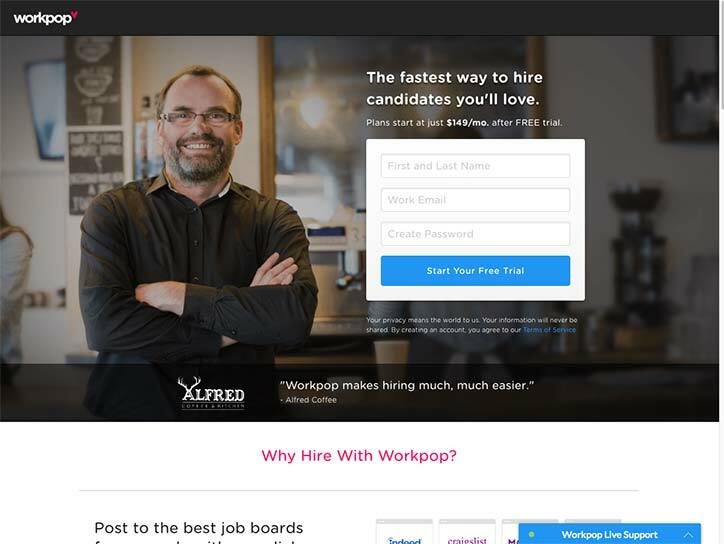 Workpop is a simple hiring tool that allows managers to post their jobs to a number of different job boards. The company also offers a few tools to make the hiring and onboarding process easier. Finally, using Workpop, you have access to simple team management software allowing you to conduct performance reviews, manage documents and more. Workpop is a hiring platform but also includes some simple team management solutions for current employees. ZipRecruiter is a hiring tool that allows employers to post their jobs to over 100 job boards with one click. The company also offers software that allows employers to evaluate and message candidates out of one interface. ZipRecruiter offers ZipAlerts as a job posting options. ZipAlerts posts your job to an email list with millions of job seekers who signed up to receive daily job alerts. 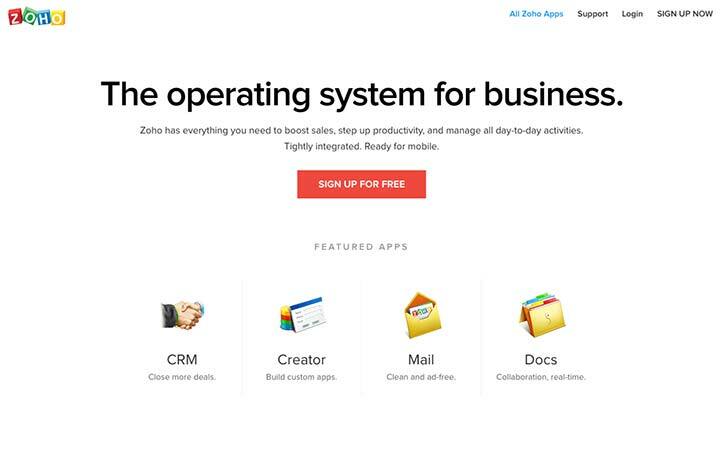 Zoho is a company that offers software covering most small business functions. One of their products, Zoho Recruit, allows managers to post openings and track candidates as they come in. Zoho Recruit is a part of a larger software platform that covers almost all small business functions. Background check software allows managers to check all the public records about a candidate. Background checks provide a manager with more information about a candidate and if there are any potential risks that need to be addressed. 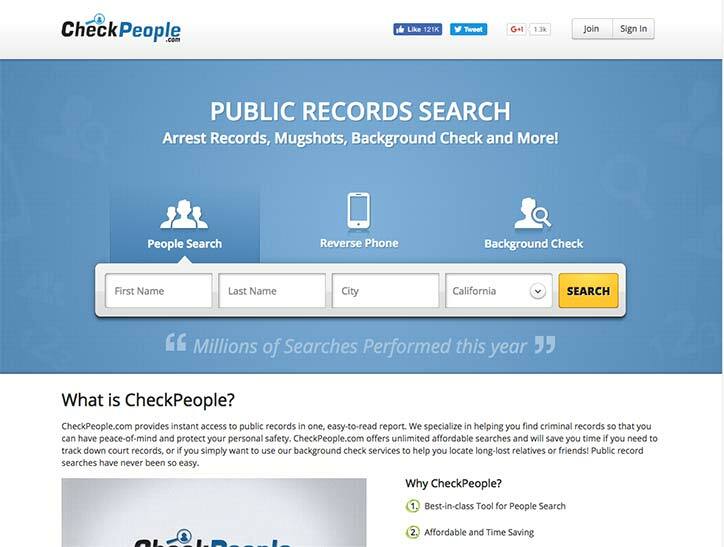 CheckPeople offers background checks by searching public records. 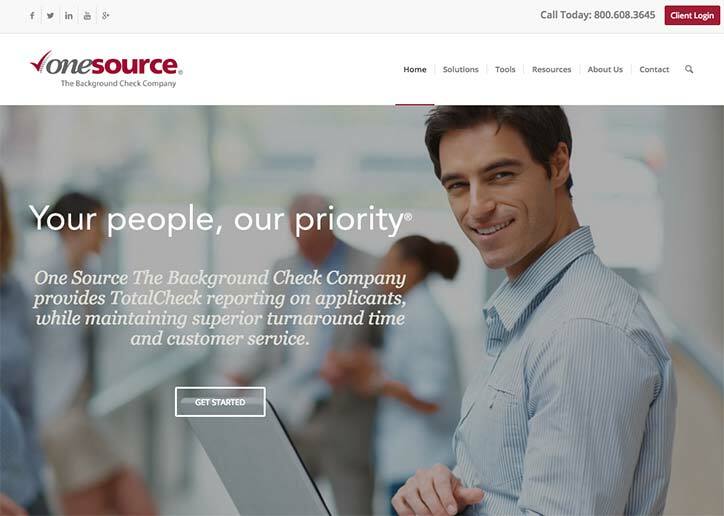 CheckPeople has a comprehensive section about the do’s and don’t’s of background checks. 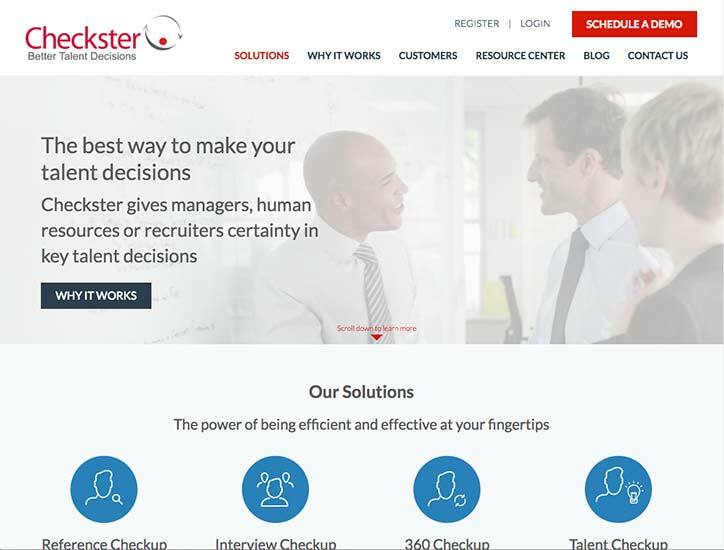 Checkster is a tool that allows hiring managers to verify reference checks. Checkster can check social media as part of their background check. 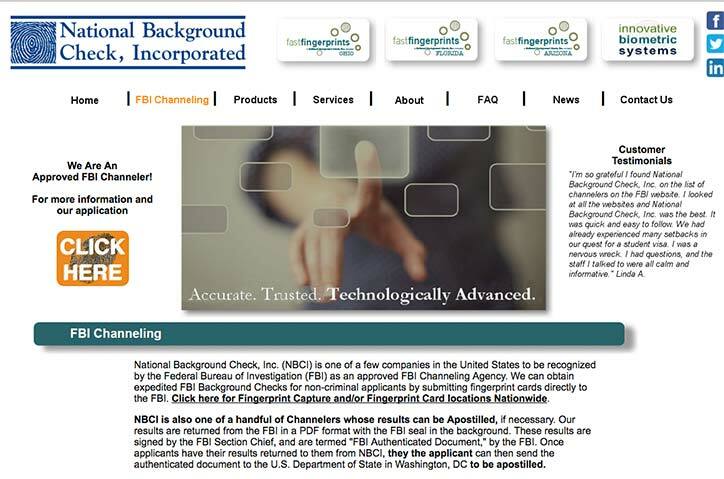 National Background Check, Inc. (NBCI) offers FBI background checks for US citizens and permanent residents. As an approved FBI Channeler, NBCI can process FBI background check requests within 3-5 days of submission for the following reasons: work/student visa, personal, foreign residency/travel, to adopt a child, or to review/challenge information on your own record. 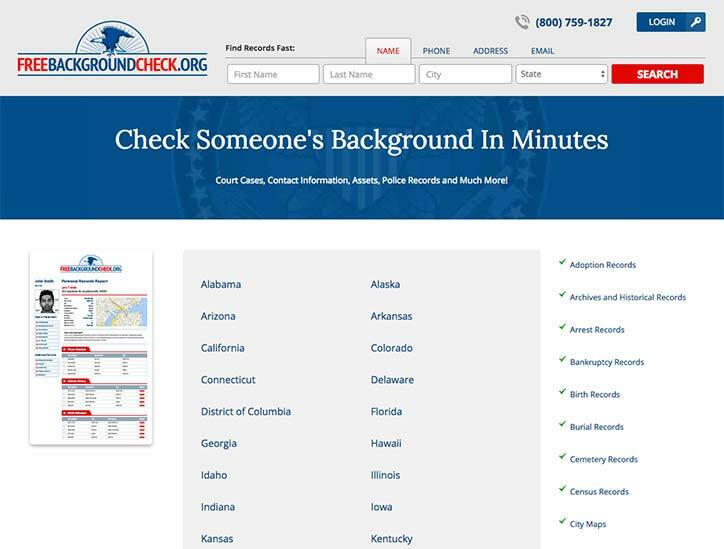 FreeBackgroundCheck.com offers background checks by searcing millions of public records. 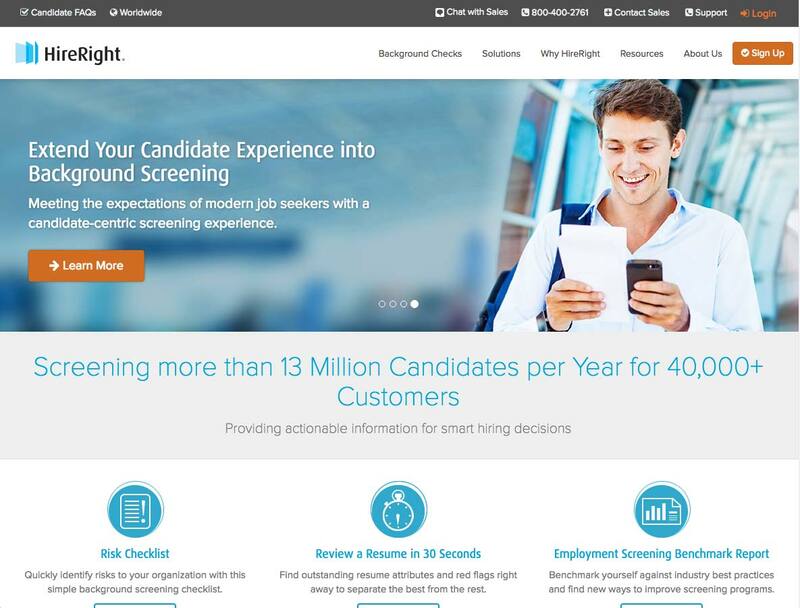 Hireright offers numerous types of checks on applicants for businesses around the world. Offers numerous different kinds of check as well as resume screening for keywords. 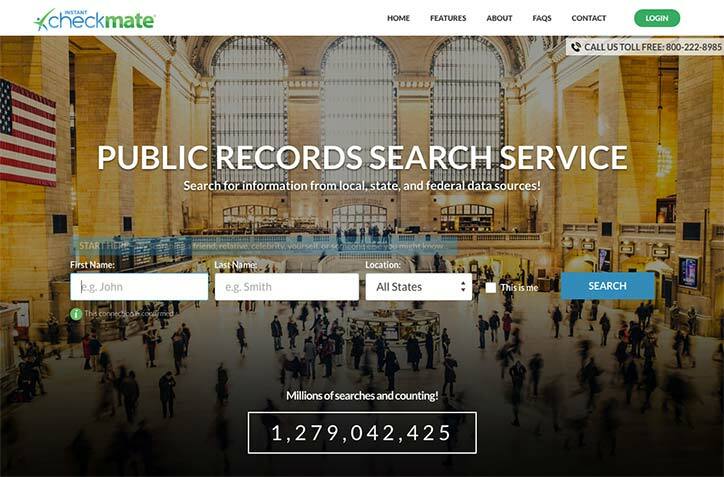 Instant Checkmate offes background checks by searching public records and identifying individuals. They have performed over one billion searches. Intelius offers background checks for employers and individuals. 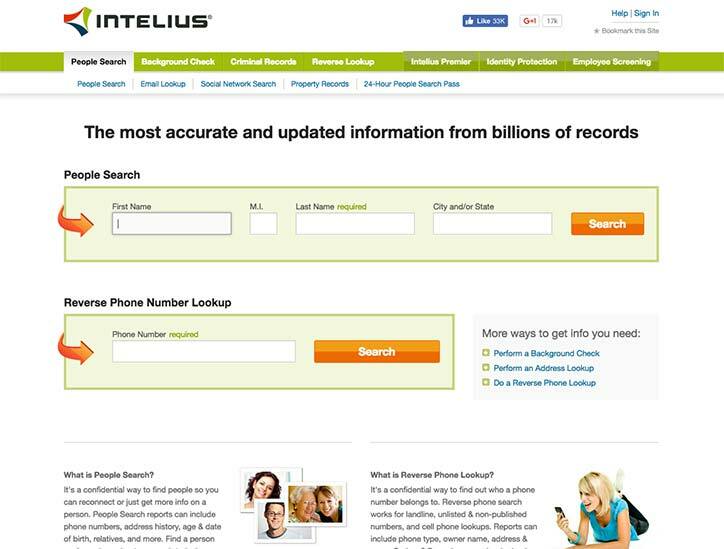 Intelius also offers a reverse phone number lookup service. One Source Background Check can background check candidates. The company has been around for over 30 years. A careers page builder is a software tool that allows managers to create beautiful careers pages and integrate them directly into their website. These careers pages can encourage people visiting the site to apply and are a great place to direct interested candidates. 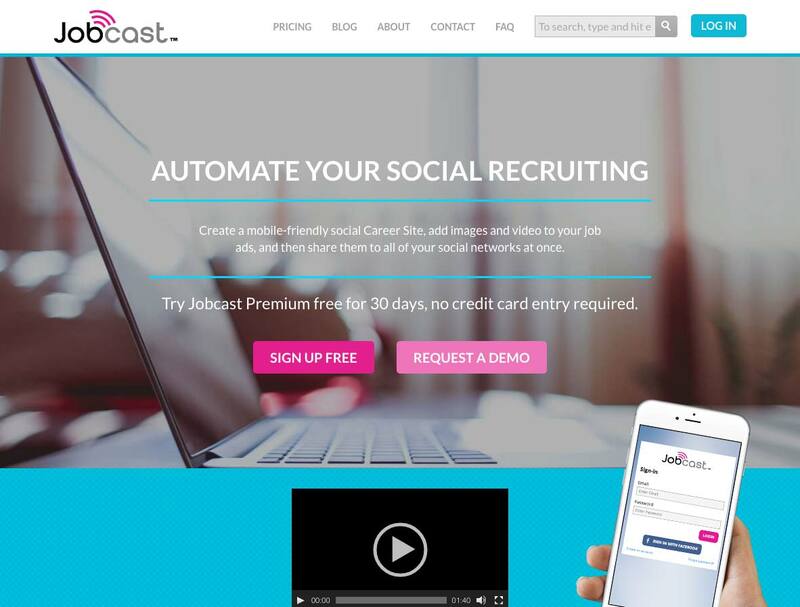 Jobcast is a social recruiting platform that allows companies to create a branded careers page on their Facebook account. Jobcast allows companies to place a careers page on their Facebook page. A hiring resource is a blog or resource database with information about all things hiring. This could include: job description templates, interview questions, hiring tips and much more. These resources are great because they allow managers to continuously improve their hiring skills and stay ahead of hiring trends. Additionally, they often include many time saving tools like job description templates. Blogging4Jobs is a blog that offers tons of articles with hiring tips and resources. Blogging4Jobs has guest bloggers from some of the top hiring companies in the world writing articles. 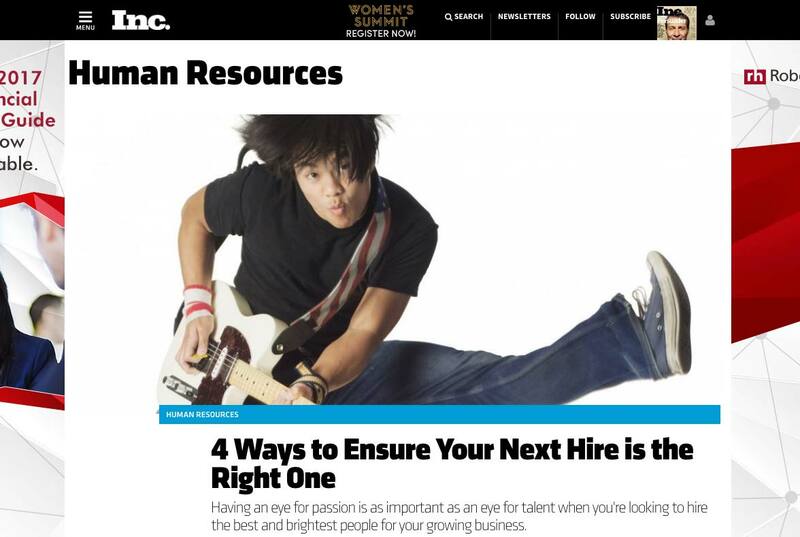 Inc.’s hiring blog is a great place to find hiring resources and articles. Published by Inc., one of the largest providers of business related content. 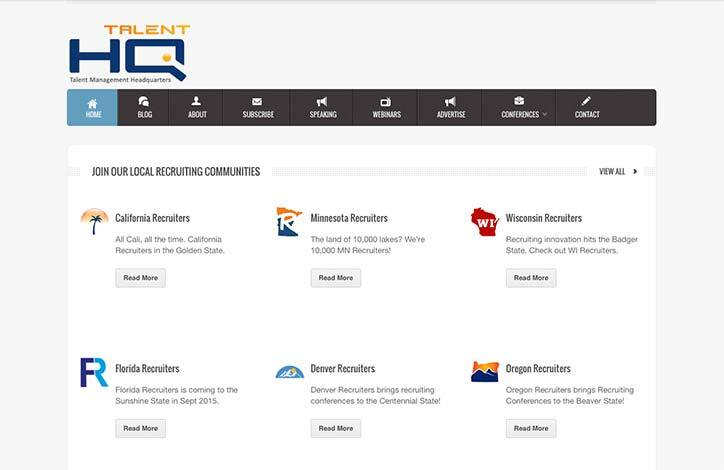 The Monster resource database is a great place to find resources about recruiting. 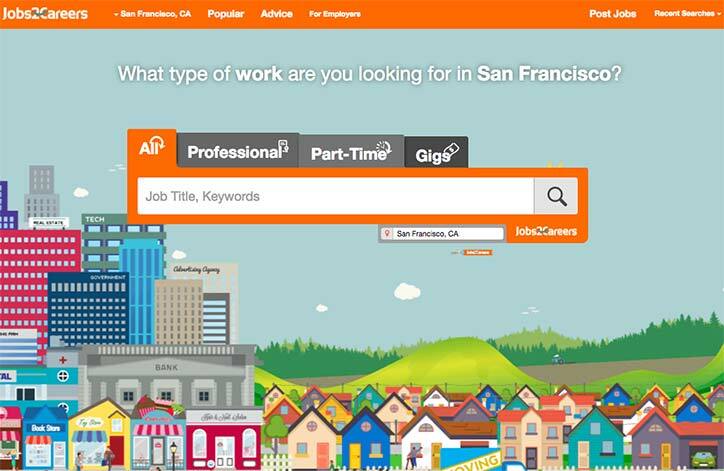 Published by Monster, one of the largest job boards on the internet. One of the largest blogs specifically focused on recruiting. 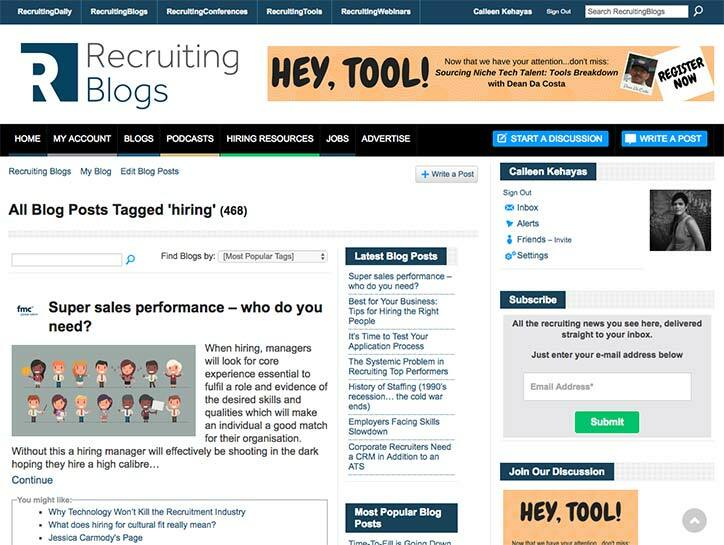 Recruiting Blogs also offers podcasts specifically related to recruiting. TalentHQ is a great place to join hiring communities and to find hiring related information. 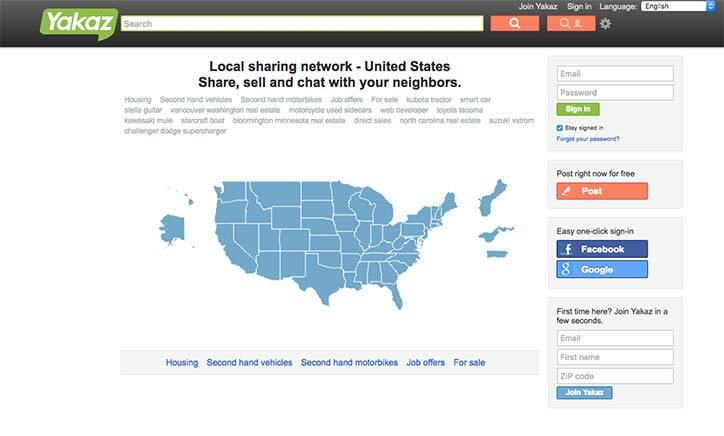 TalentHQ allows managers to join hiring communities in the area they live. 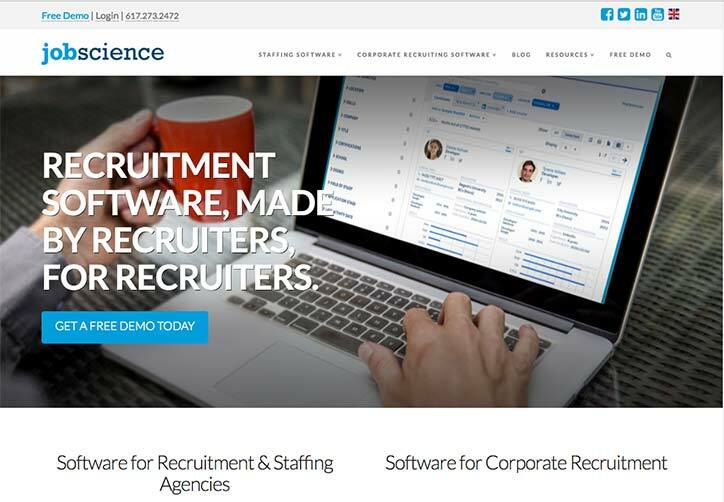 Harver offers customizable, pre-employment assessment software that allows recruiters to automate parts of the hiring process and make data driven hiring decisions. With Harver, you can build fully branded assessment experiences that are completely tailored to your organization’s needs. Add video, images and all kinds of tests to measure a candidate’s hard and soft skills and give a fun experience at the same time. Interview software tools are often video based tools that allow managers to conduct interviews more effectively. This is important because having a great interview structure can make it easier to select the right candidate. Google Hangouts is a great way to inteview candidates. The video chatting software is free and easy to use and effictively supports group interviews. Integrates well with Google’s suite of business tools. 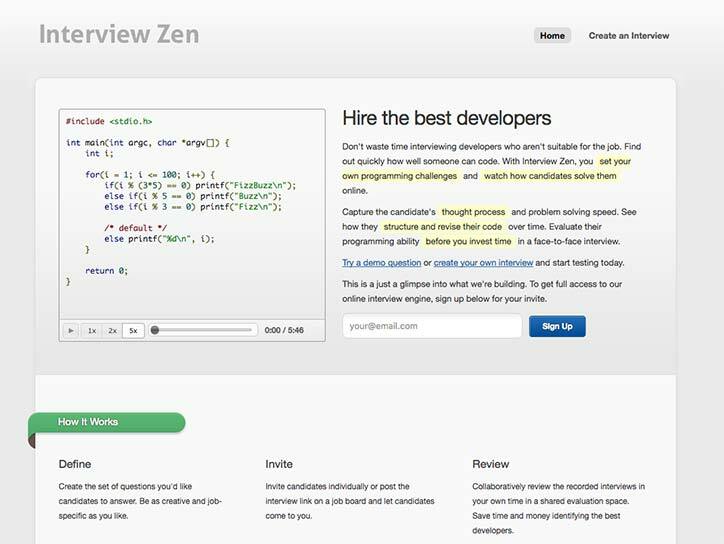 Interview Zen allows technical recruiters to create coding questions or challenges and post them on job boards so that only qualified applicants apply. Interview Zen allows managers to create technical challenges and watch potential candidates solve them. This allows managers to find technical talent that is more competent. 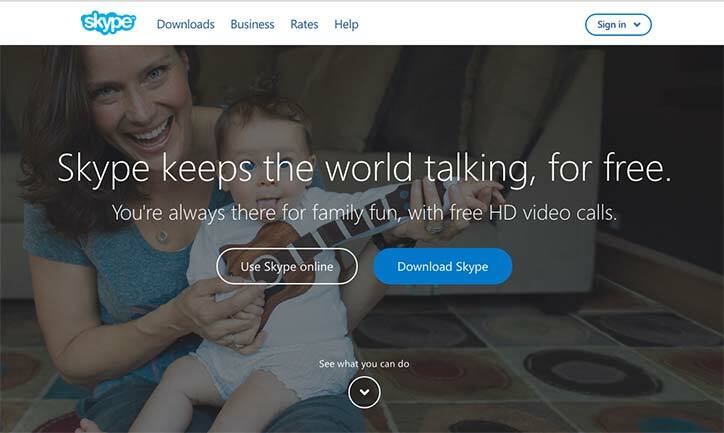 Skype is a proven video chatting platform that allows managers to conduct video calls with applicants. 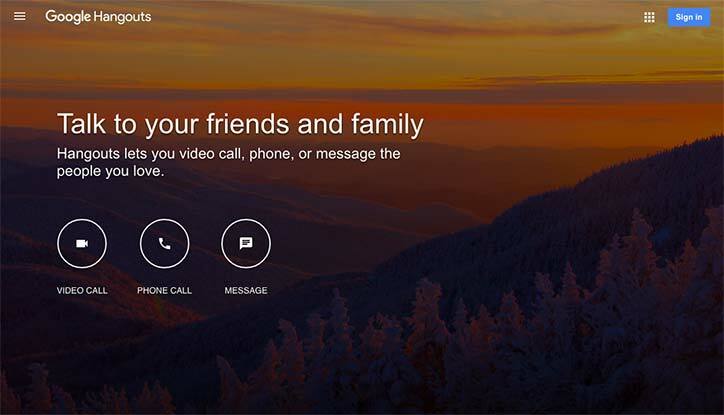 Using Skype you can also place phone calls and have access to a number of other features. 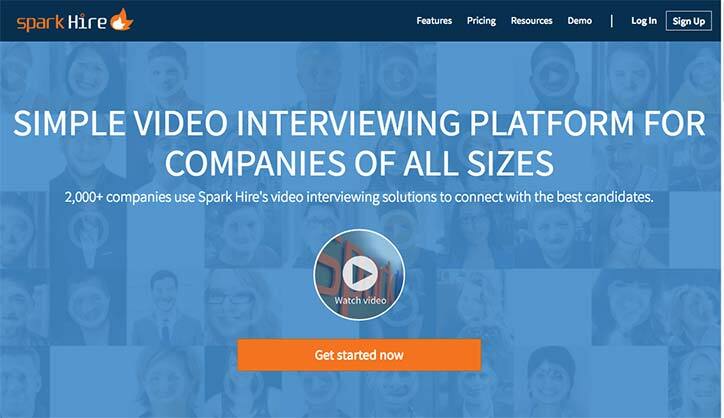 Spark Hire allows you to send applicants interview questions and records their video answers, allowing you to create a video library of applicants. Spark Hire also offers tools that allow you to organize and categorize these candidates. Spark Hire allows managers to present candidates to hiring authorities on a beautiful hiring page. Vidcruiter offers fully featured video interviewing software that allows you to conduct pre-recorded or live interviews. You can also schedule interviews, automatically check references and more using the platform. 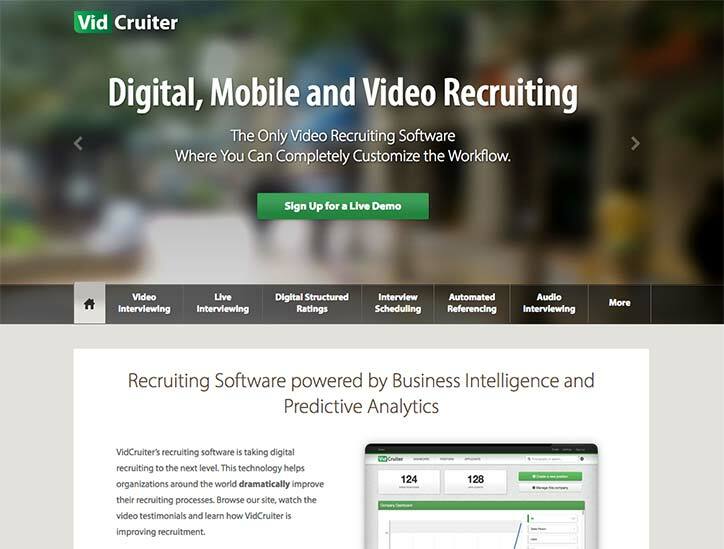 Vidcruiter allows video interviewing, even on mobile devices. 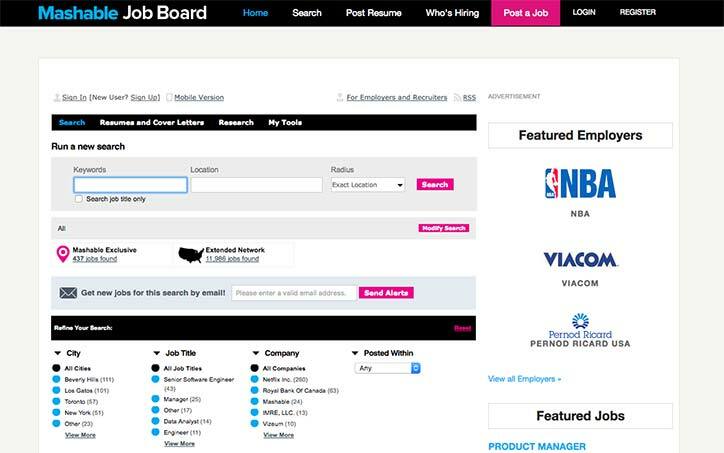 A job board is a place for employers to post jobs and job seekers to apply to jobs. 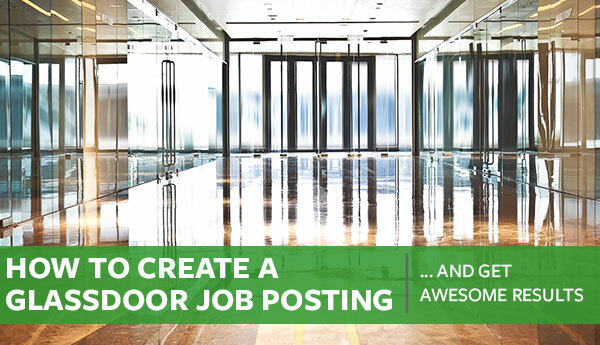 Posting on a job board can dramatically increase the visibility of your job ad versus posting it at your place of business or on your website. Many job boards also specialize in a certain niche, making it easier to fill tough to hire for positions. 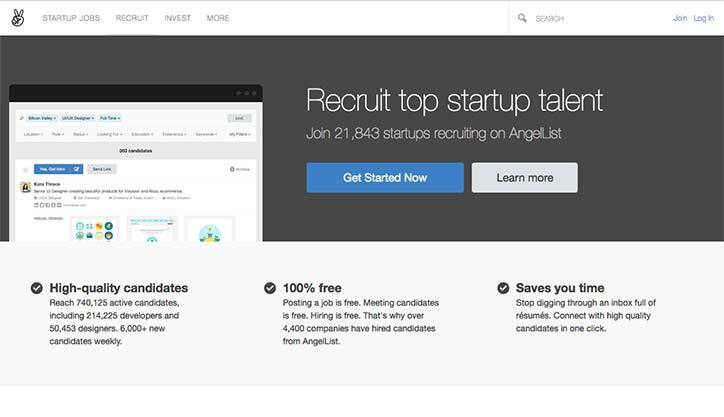 The AngelList job board is a great place for employers to find startup and tech talent. Angellist has become one of the go to places for technology companies to find applicants. Using the website, you can also learn more about companies like who their investors are, what they do and how much they have raised. 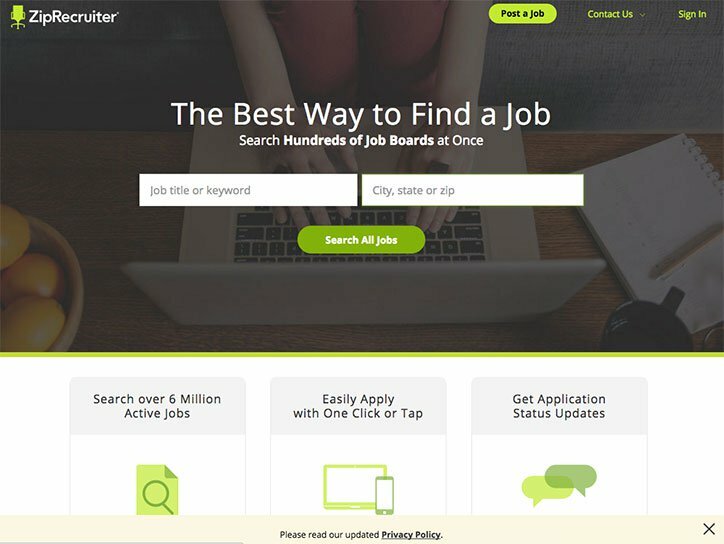 BetterJobs is a job board for all types of positions. You can post your job on BetterJobs in a number of different countries. CareerBuilder is one of the largest job boards and software providers on the internet. The company started over 20 years ago as a job board but has since added a suite of tools including onboarding and analytics tools. 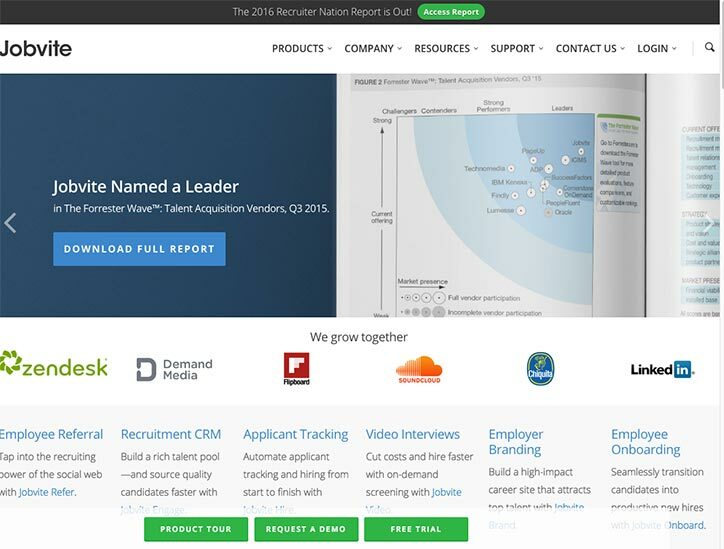 CareerBuilder has one of the largest resume databases in the world. 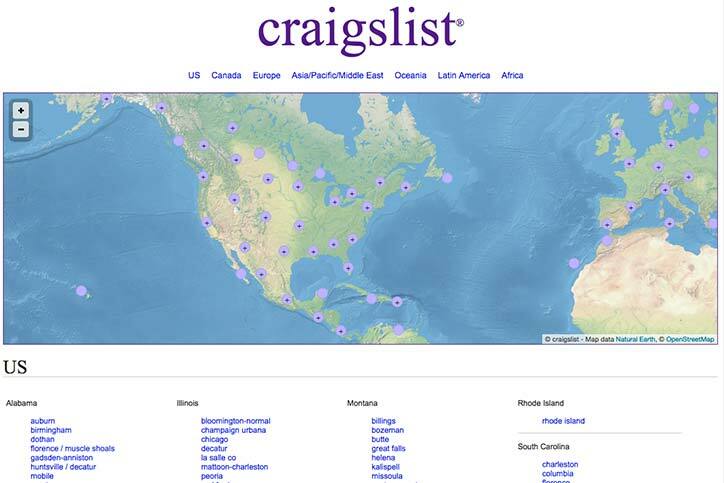 Craigslist is the traditional go-to job board for employers looking to hire hourly positions. The board has been around for decades and continues to deliver tons of candidates for the right job. Craigslist has a low price for their performance and is very easy to use. 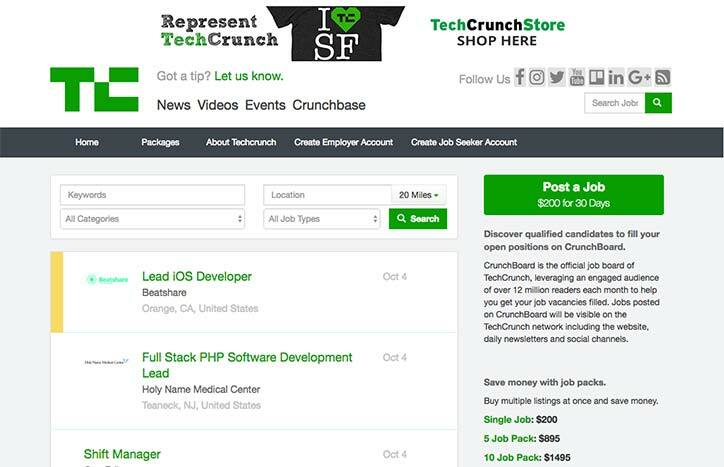 Crunchboard is a job board started by the website TechCrunch which is a large purveyor of technology news. The board focuses on tech and startup jobs. Specifically focused on tech jobs and is an offshoot of the successful tech news site TechCrunch. 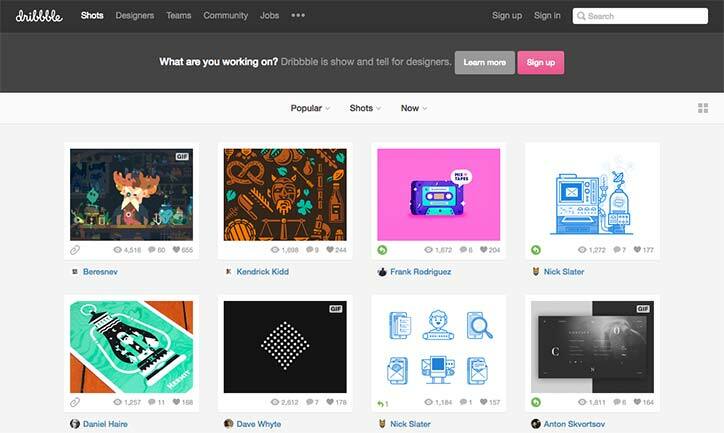 Dribbble is a job board specifically for designers. 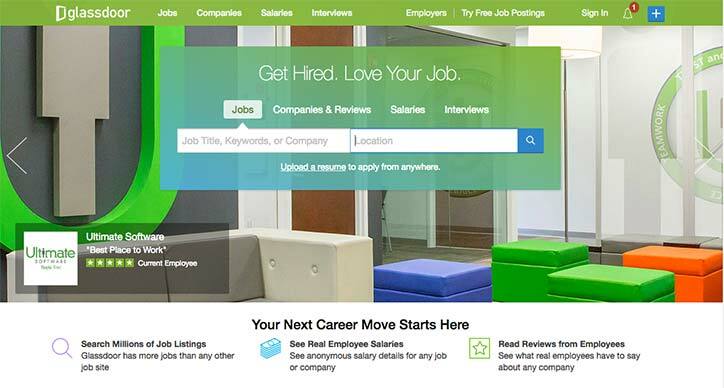 Glassdoor is one of the largest job boards and hiring resources on the internet. 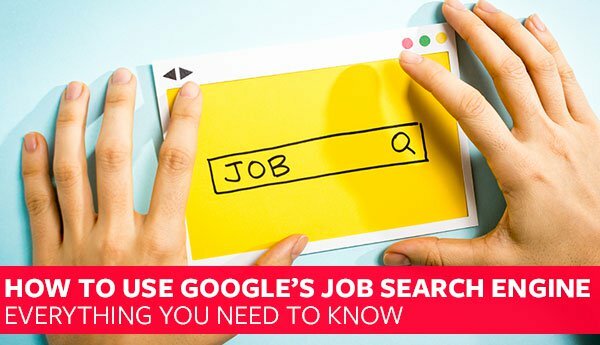 Employers can post jobs just like a normal job board but Glassdoor also offers information for the job seeker including company reviews, salary scales and many other resources. Company reviews, interview information and salary scales. Guru is a job board for freelancers and offers jobs in all industries globally. 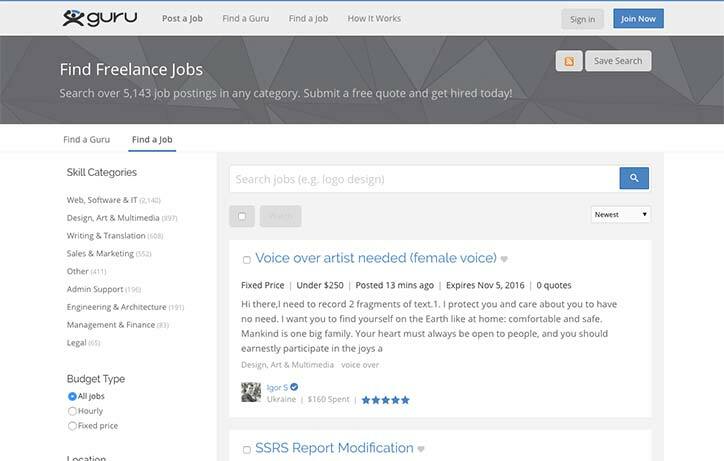 Guru is a job board specifically for freelancers. 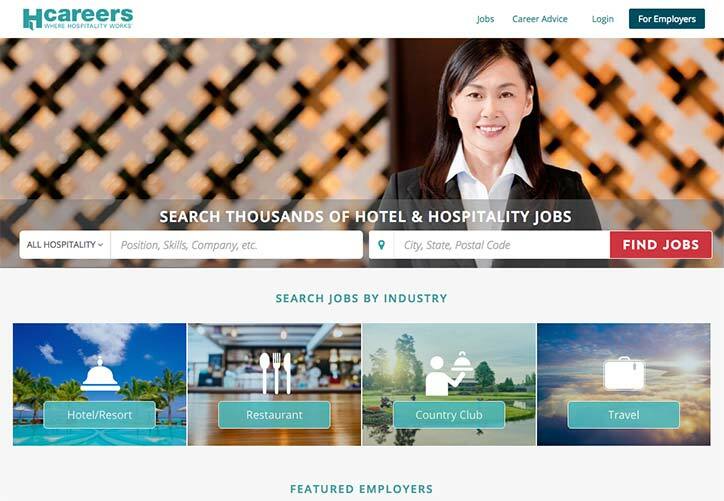 Hcareers is a job board focused on the hospitality industry. HCareers is focused specifically on the hospitality industry. Indeed is one of the largest job boards on the internet and the largest job board that offers applicants on a pay-per-click basis rather than the standard pay-per-post model. Employers can find almost any type of candidate on Indeed from minimum wage hourly positions to high paid salaried positions in almost every industry. 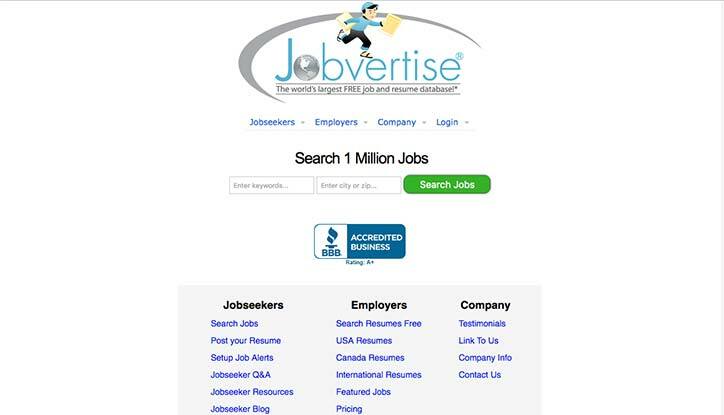 First Pay-Per-Click Job Board and one of the largest job boards in the world. 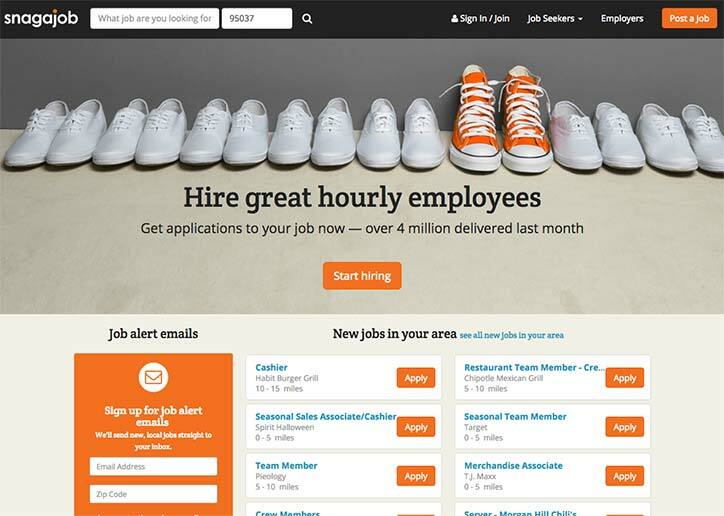 Jobrapido is a large online job board where employers can find applicants for almost any position. Jobs2Careers is one of the largest job boards on the internet. Employers can find almost any type of applicant in an industry on the site. The company operates on a pay per application model. 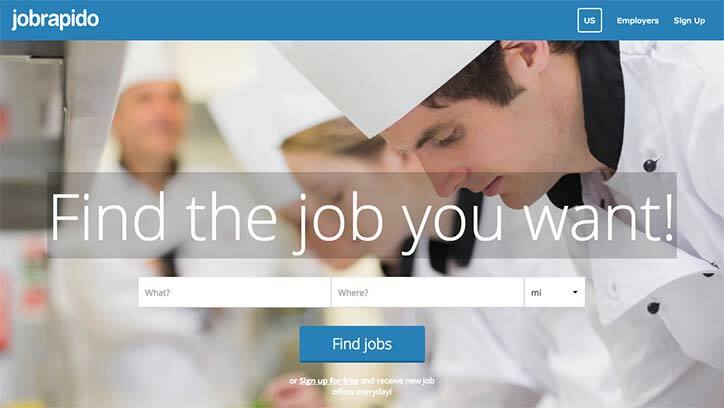 Jobvertise is a large free job board where employers can find all types of positions in all industries. Linkedin is a social media site and job board allowing employers to post to Linkedin’s network and find candidates searching for positions. You can post to and message people that are a part of Linkedin’s network which is the largest collection of professionals in the world. Mashable is one of the largest entertainment companies and they offer a job board for employers that focuses on digital and tech jobs. Mashable focuses specifically on digital and tech related positions. 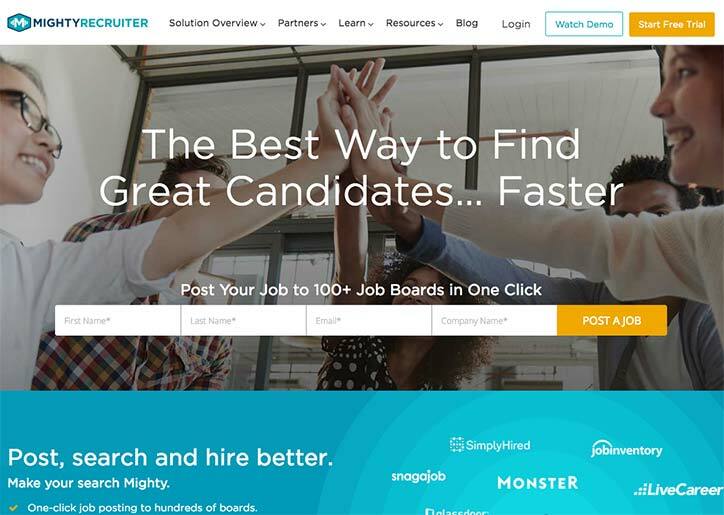 Mighty Recruiter is a job distribution tool that allows you to post your job description to over 100 job boards. Auto-publish your job to social networks. 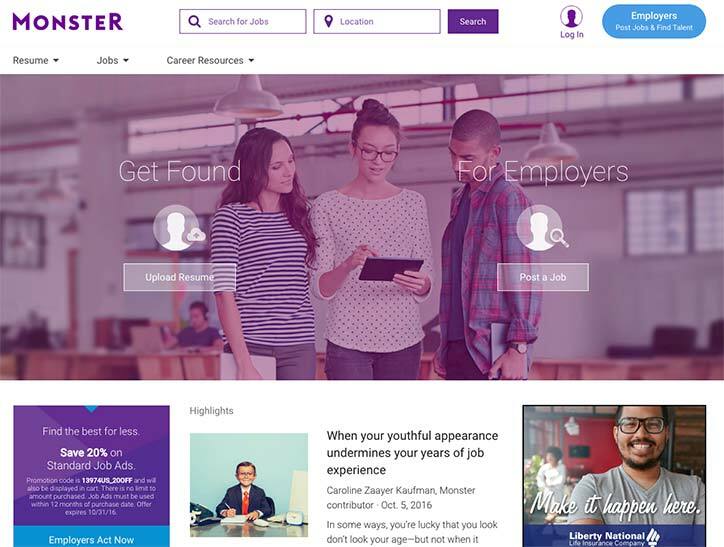 Monster is one of the largest job boards on the internet. The company has also expanded to offer career management and recruiting tools. 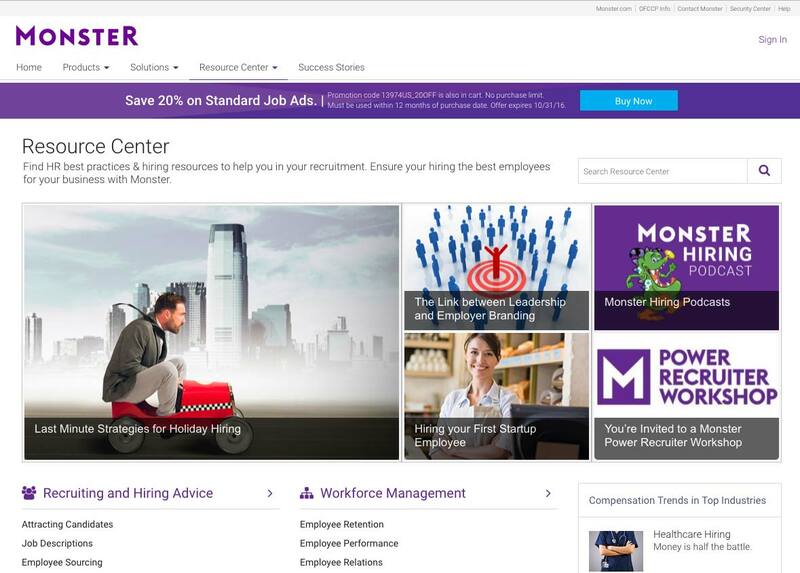 Monster offers employers career management tools. 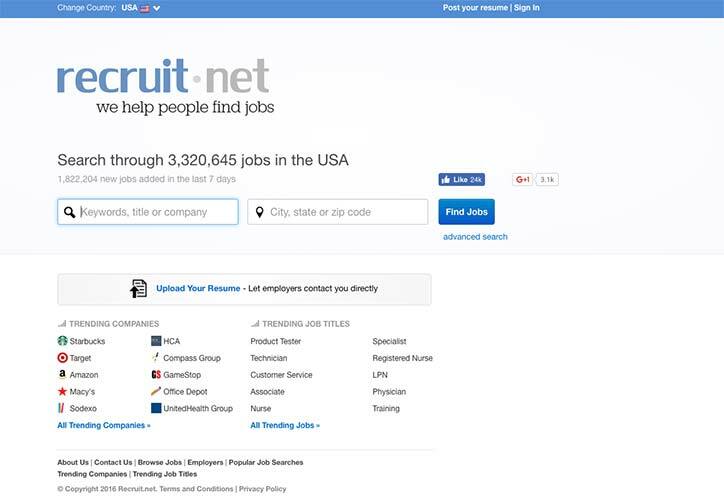 Recruit.net is a large job board and resume pool. Focused specificaly on the USA. 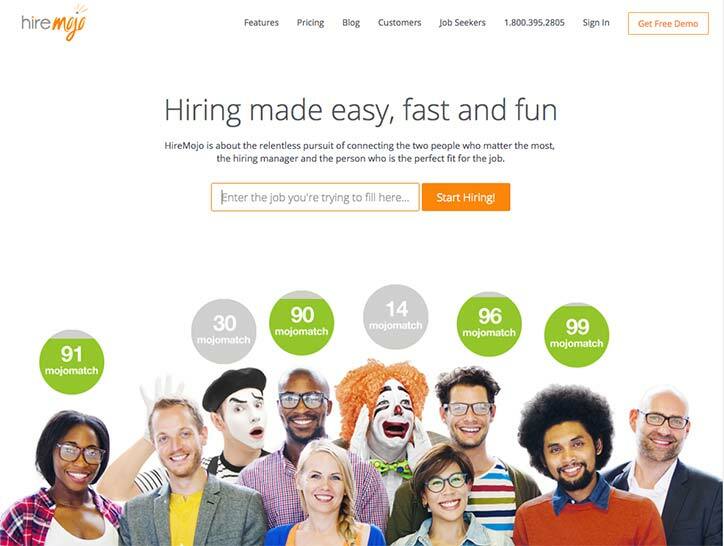 Snagajob one of the largest job boards on the internet and focuses specifically on hourly candidates. Great place to find hourly workers. The Trovit job board pulls classified ads from thousands of sources and compiles it in to one large job board. 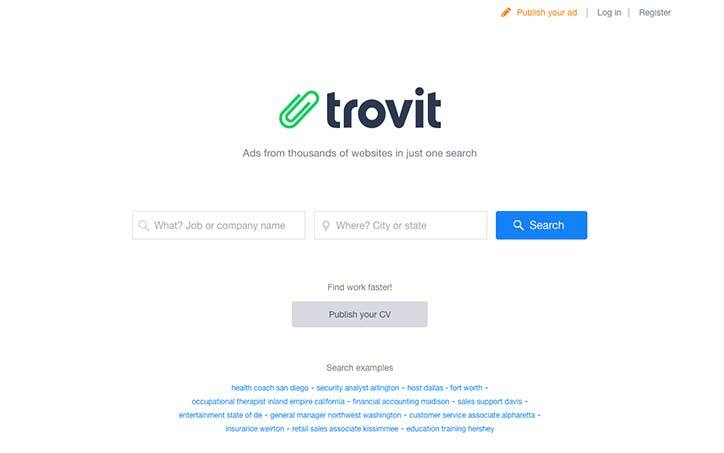 Employers can also post an ad directly with Trovit. The job board is a great place to post a job for any position or industry. Pulls classified ads from thousands of sources to create the job board. 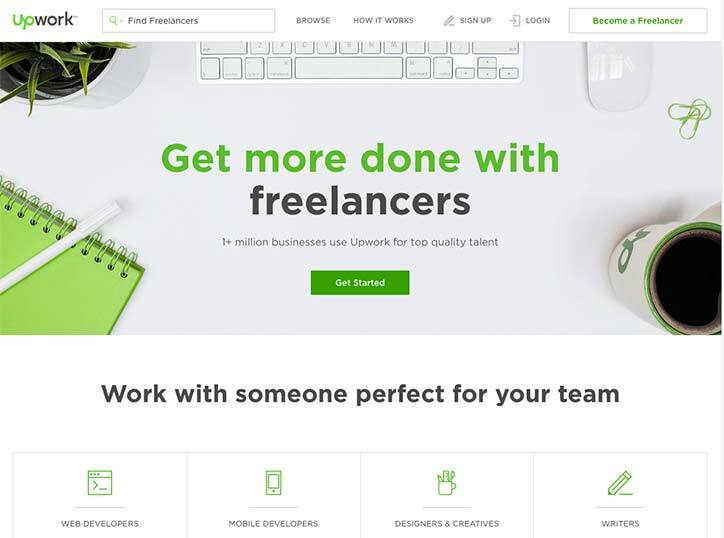 Upwork is a hiring site for freelancers and has over one million on the site. 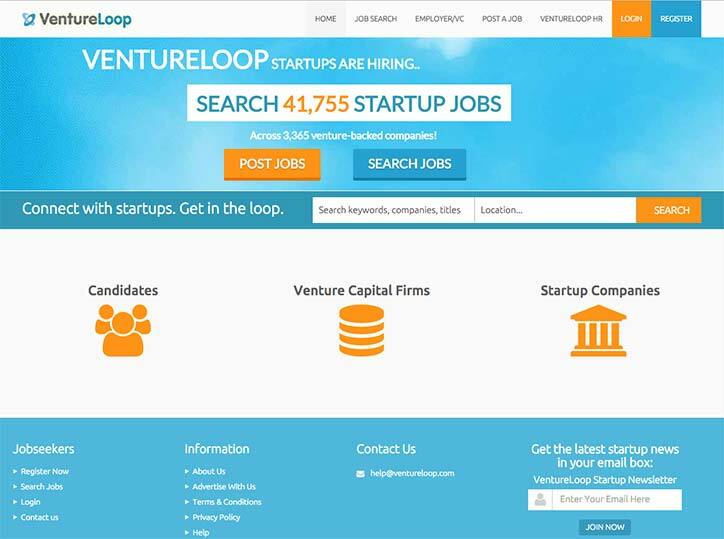 Venture Loop is a job board for startups. You can get your job distributed to their weekly newsletter with 5,000 subscribers. 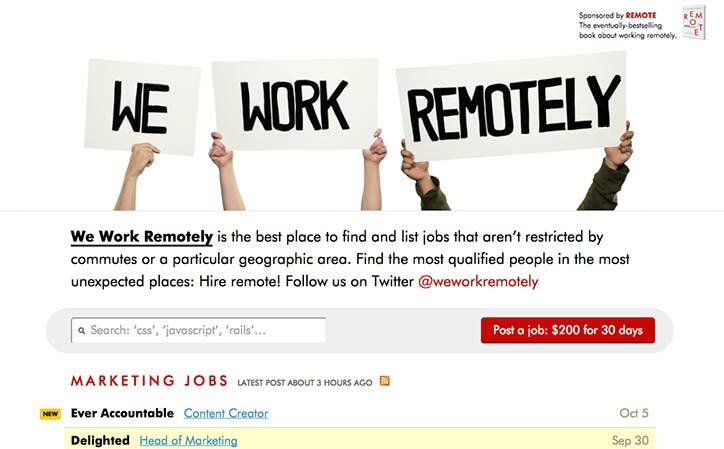 We Work Remotely is one of the largest job boards focusing specifically on remote work. Focused specifically on remote work. Yakaz is a search engine for classified ads including job ads. Employers can post jobs on the platform. You can post on Yakaz for free! Resume database software allows managers to create an online database of candidate resumes for their future hiring needs. Creating a database means there is a constant pool of potential candidates allowing managers to hire more quickly and saving money by retaining candidates from previous paid job postings. 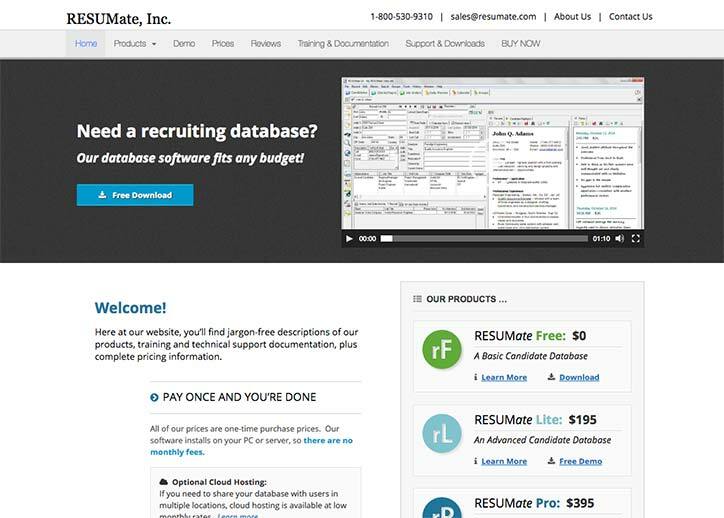 RESUmate is a free resume database program that allows hiring managers to turn resumes into a searchable database. The more premium versions also allow syncing with outlook and exporting of data to Microsoft Excel. Finding and implementing the right recruitment software can be a challenge but is well worth the effort since it often means better employees and valuable time savings. 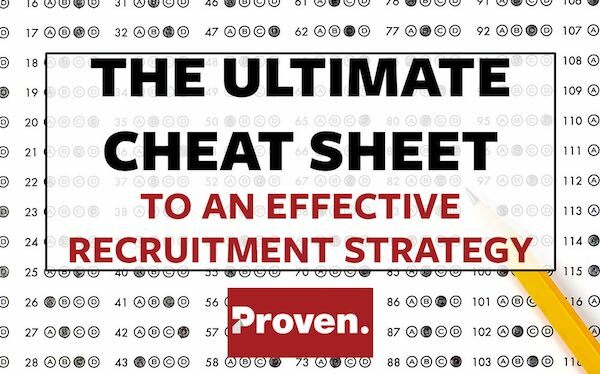 We hope you found this breakdown helpful and if you have any questions or suggestions for recruitment software that we forgot to include, please let us know in the comments. Don’t miss an update, subscribe to our blog!